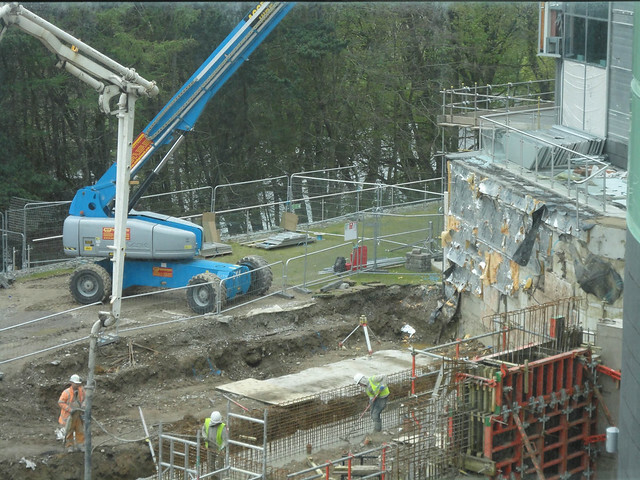 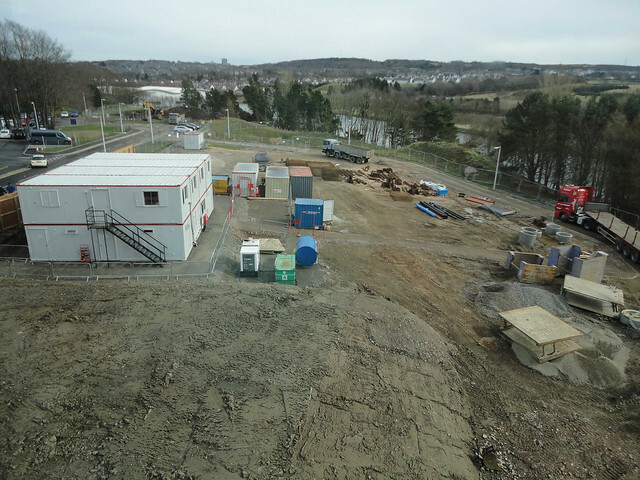 The previous post showed the evolution of the New Build since October 2011. 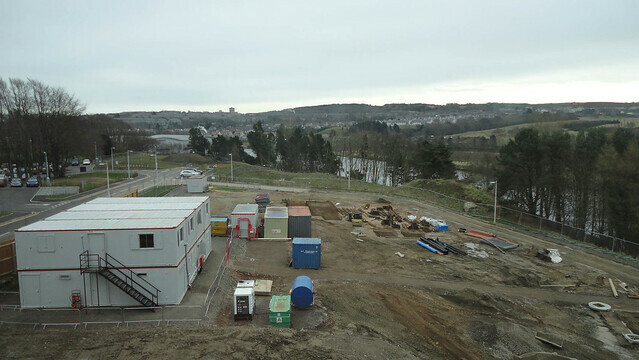 The last photo update was on the 15th Jan when we were in the depths of winter and the landscape covered in snow. 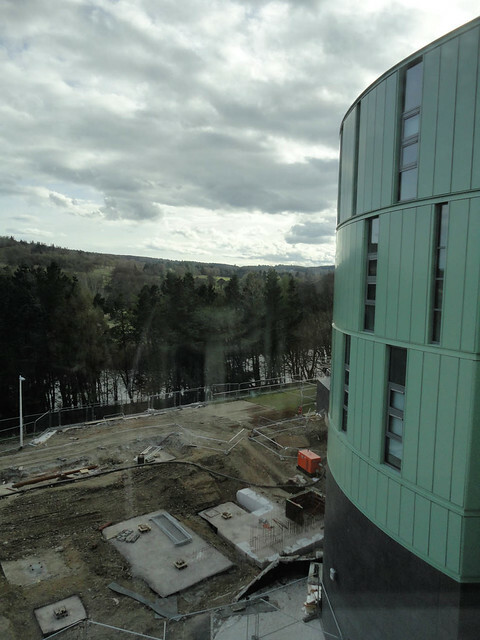 Almost two months on and the weather though still cool is getting milder and the days longer. 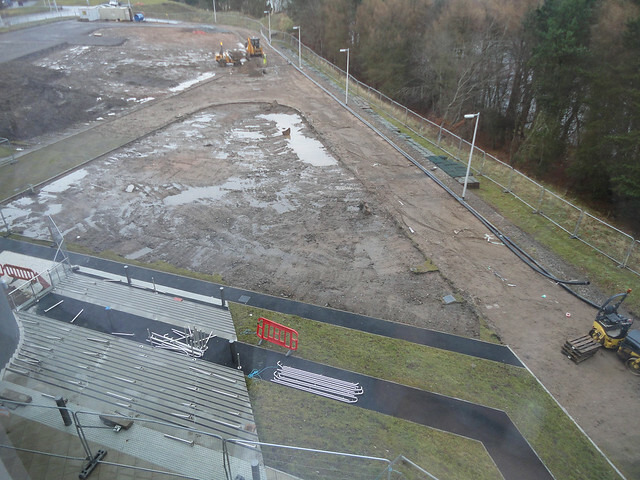 Quite a number of noticeable changes standout since the 15th Jan post. 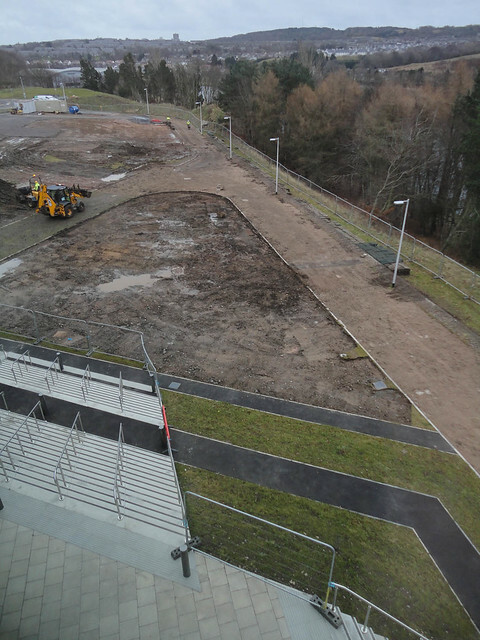 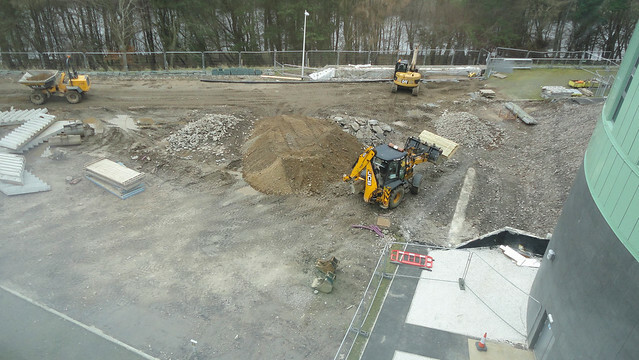 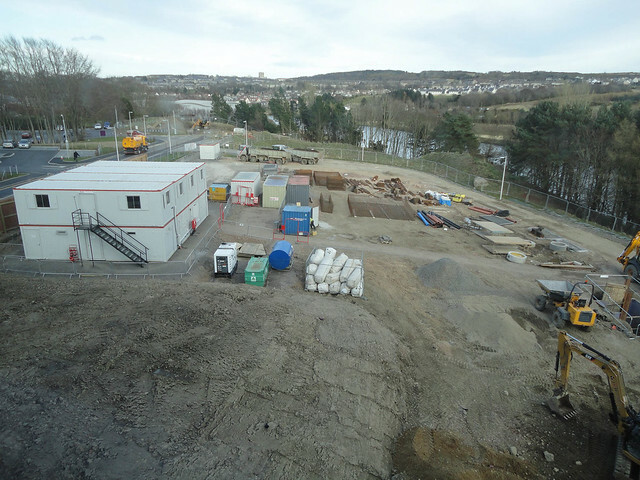 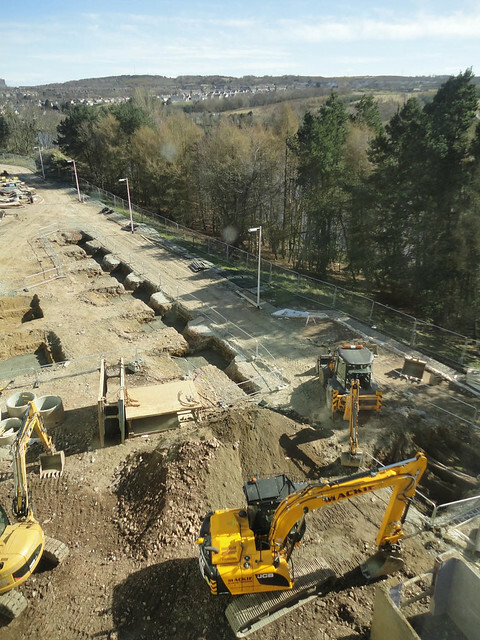 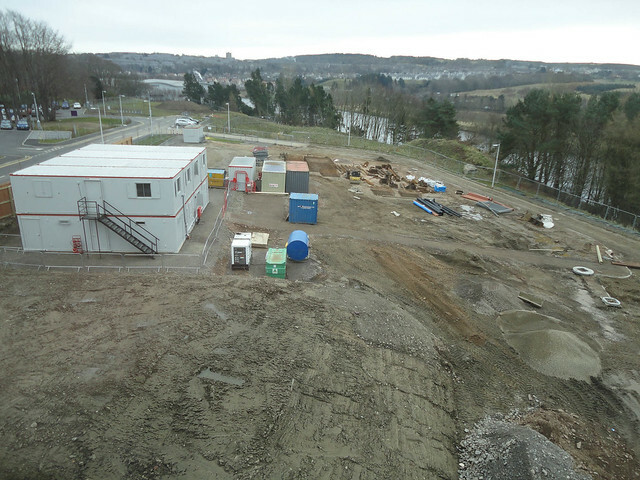 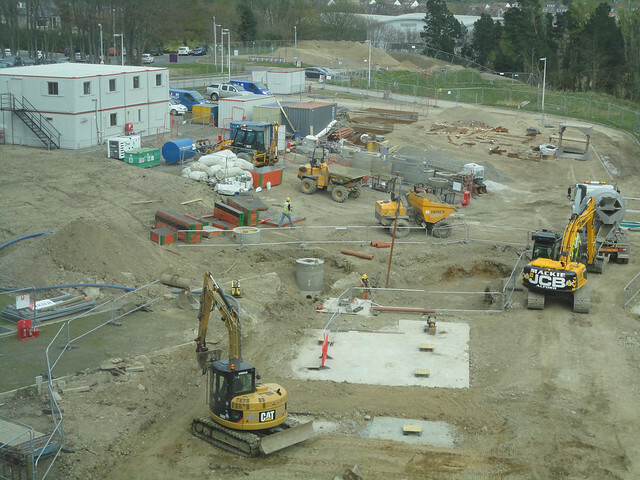 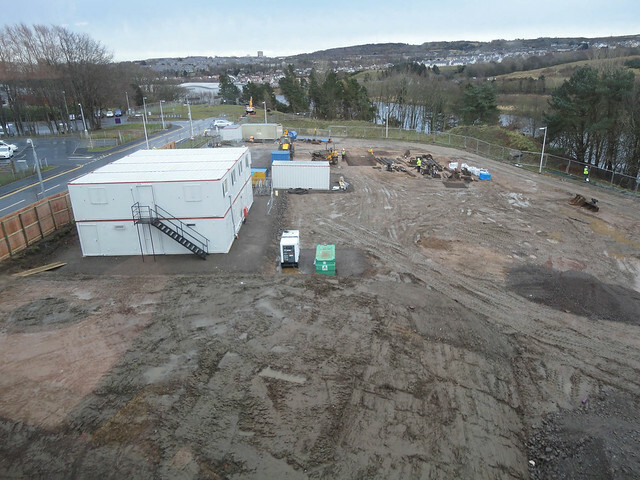 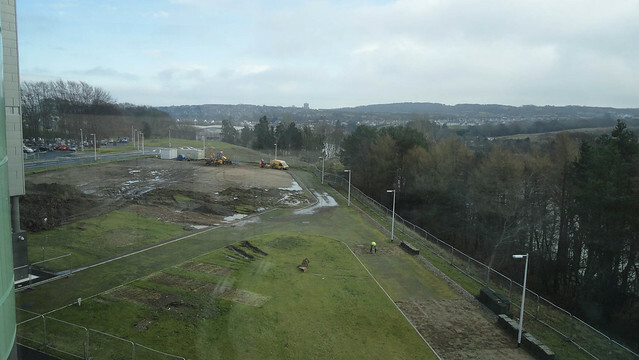 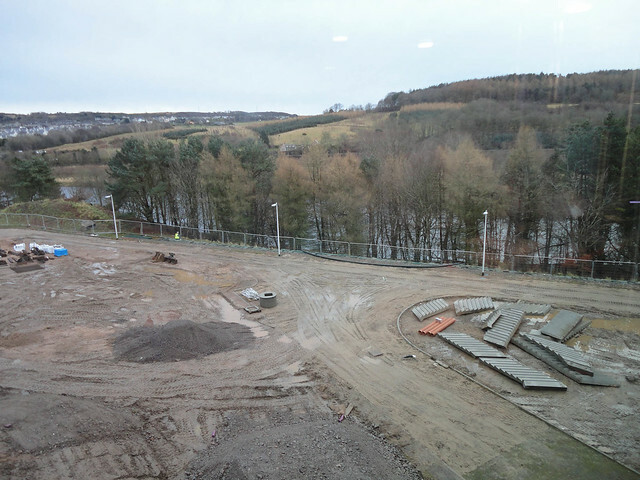 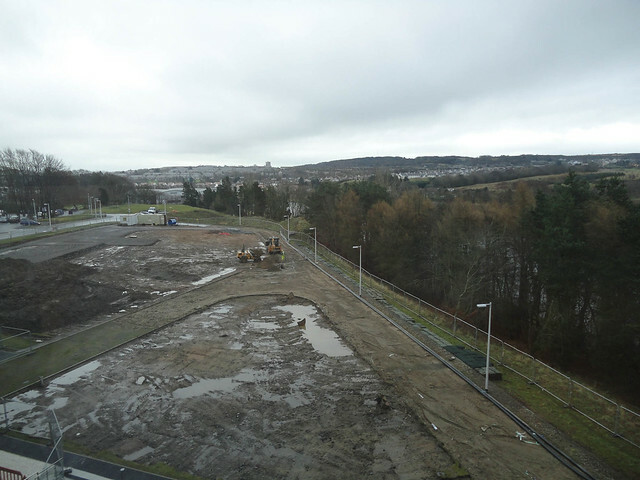 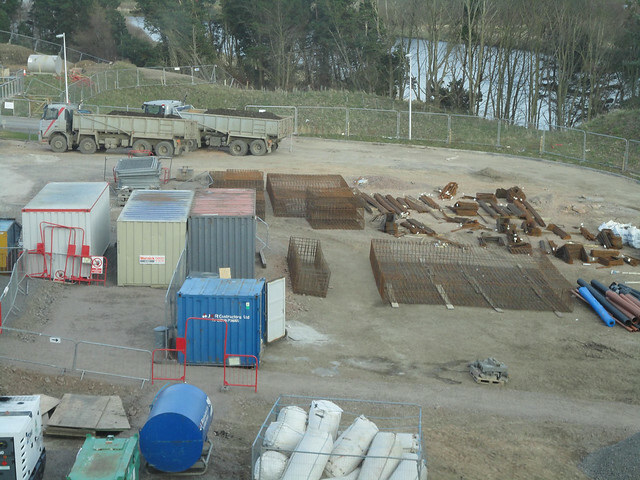 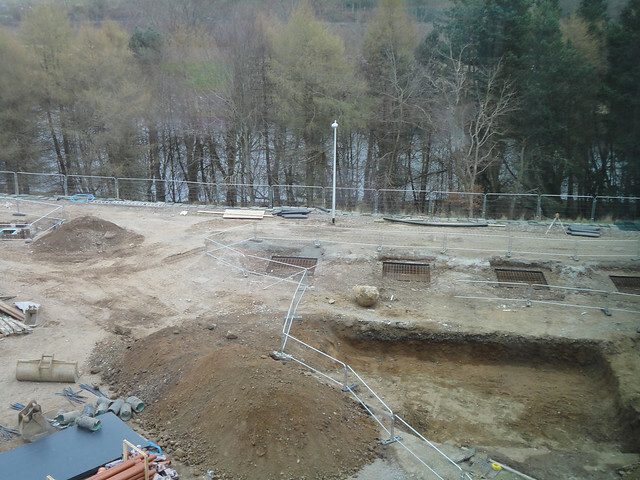 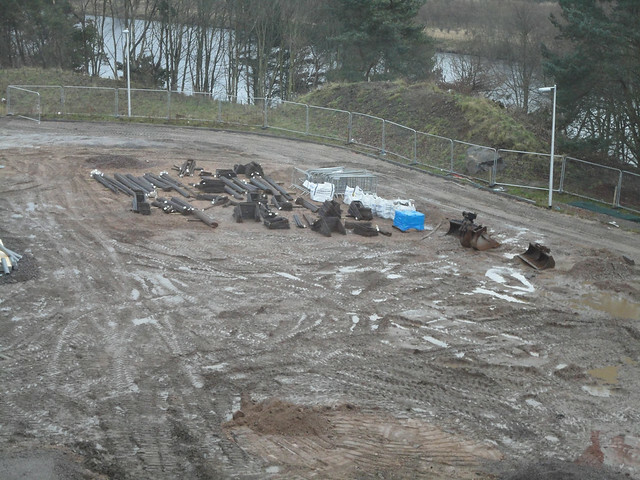 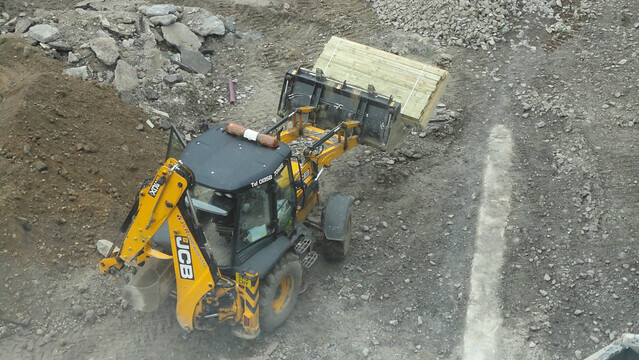 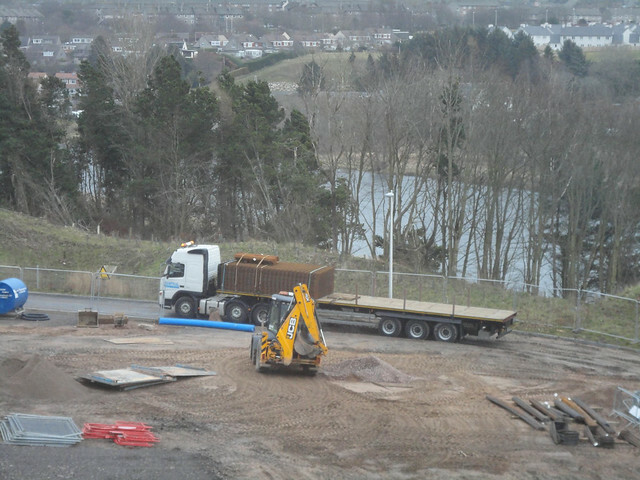 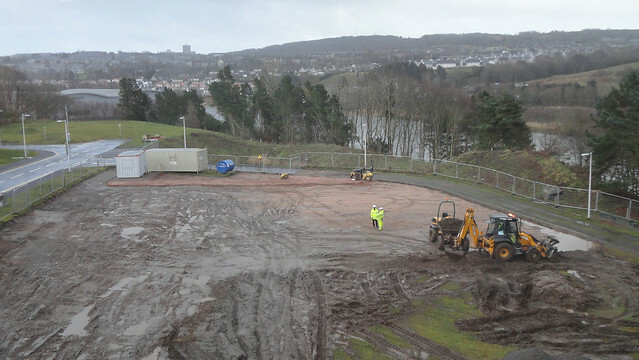 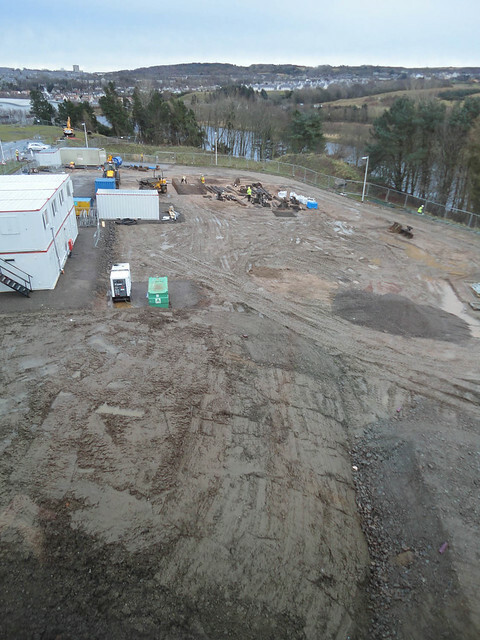 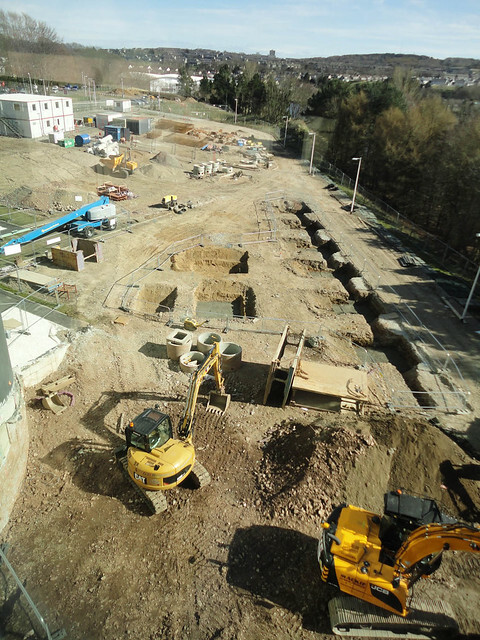 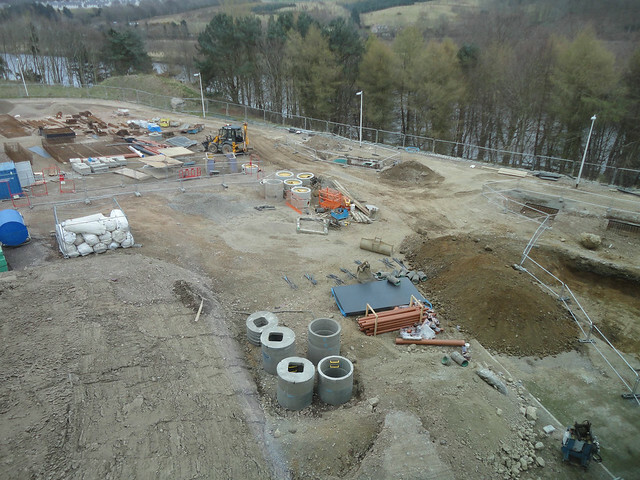 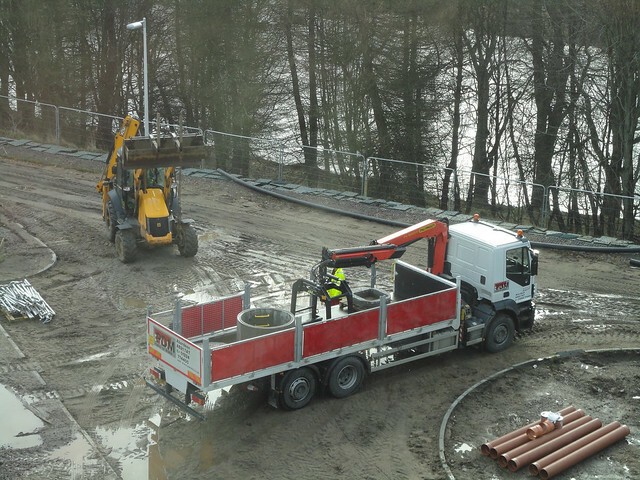 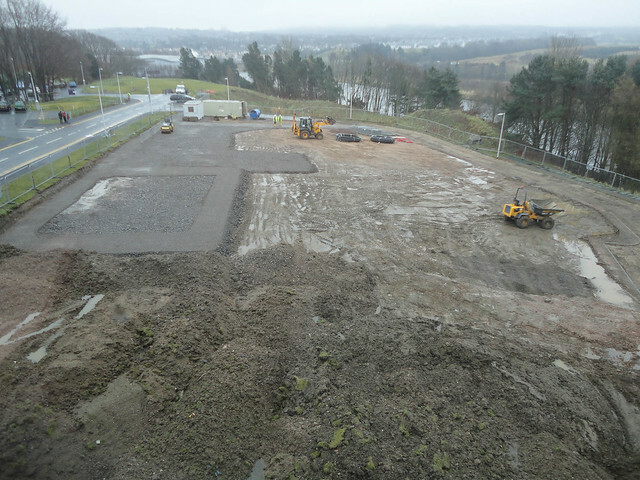 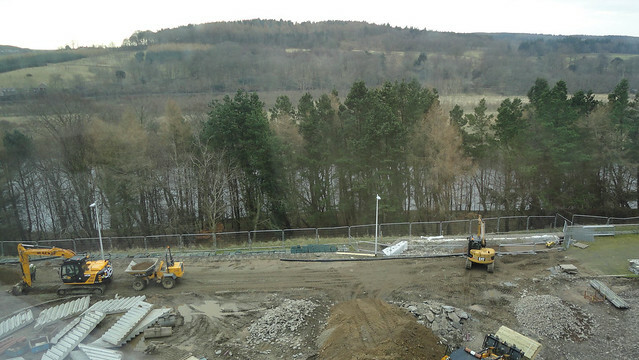 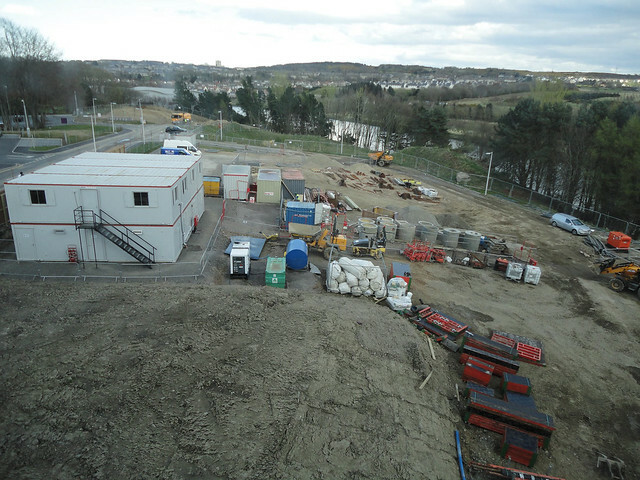 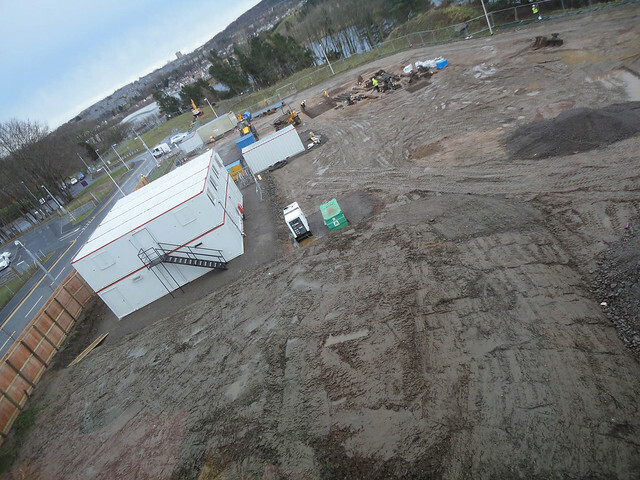 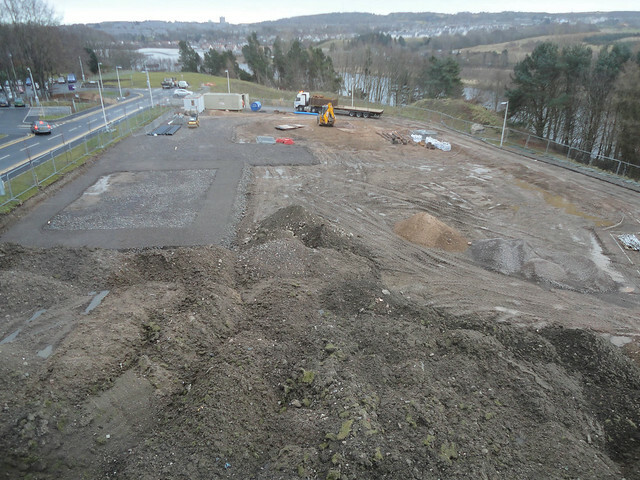 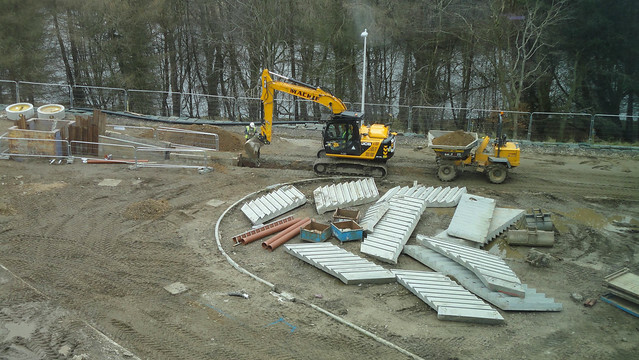 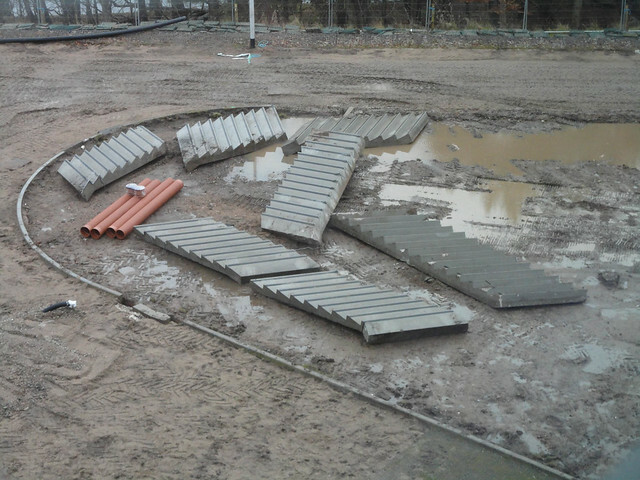 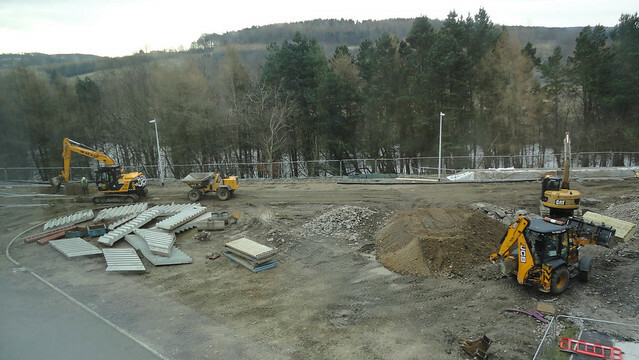 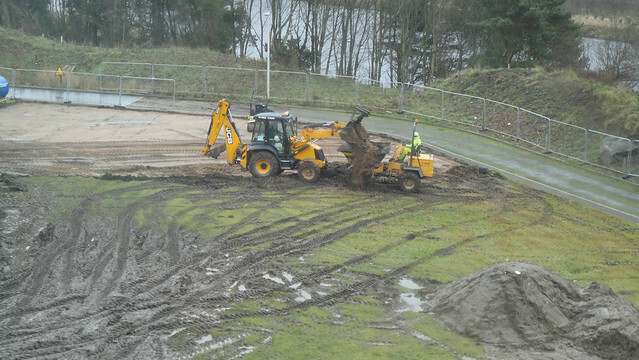 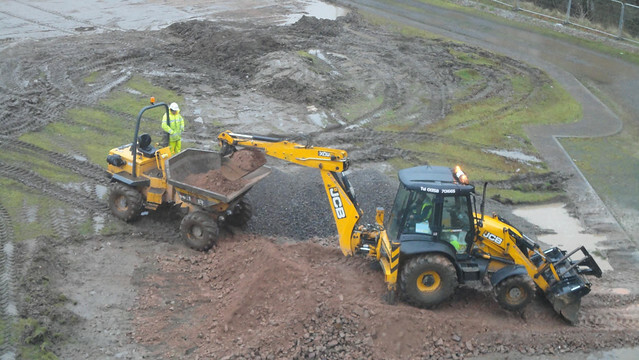 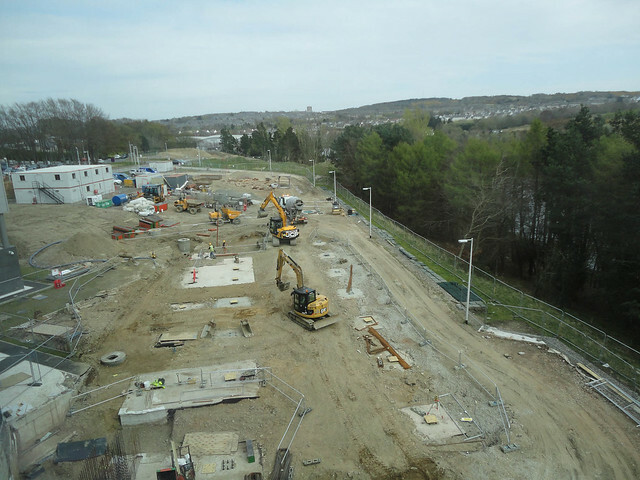 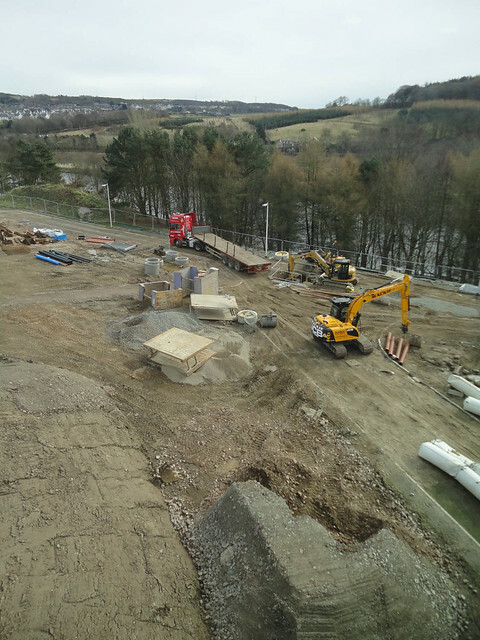 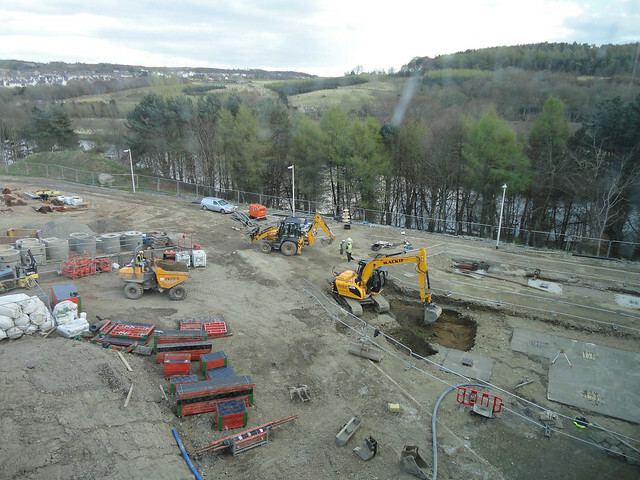 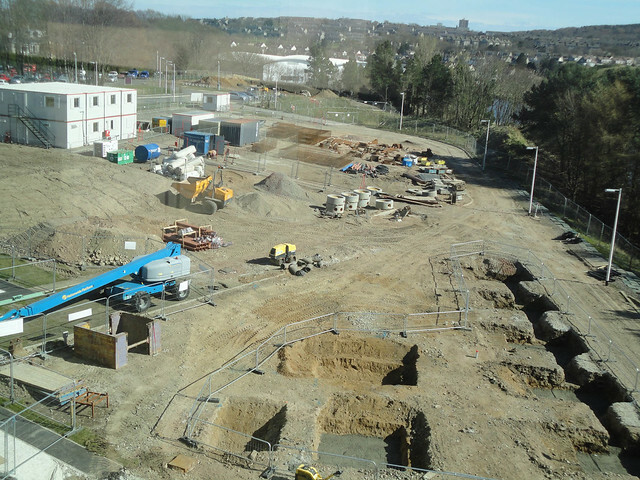 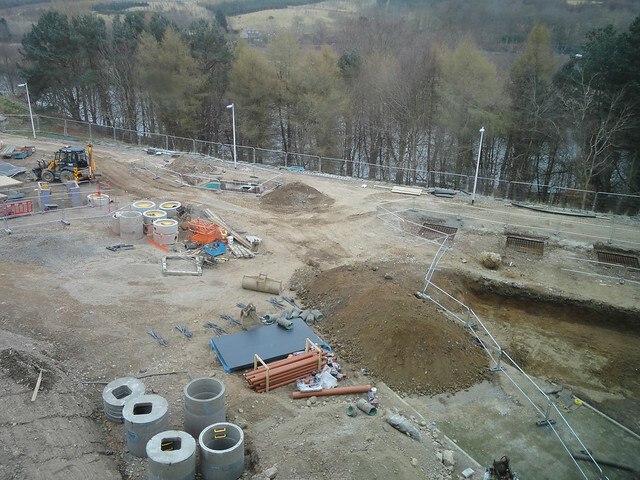 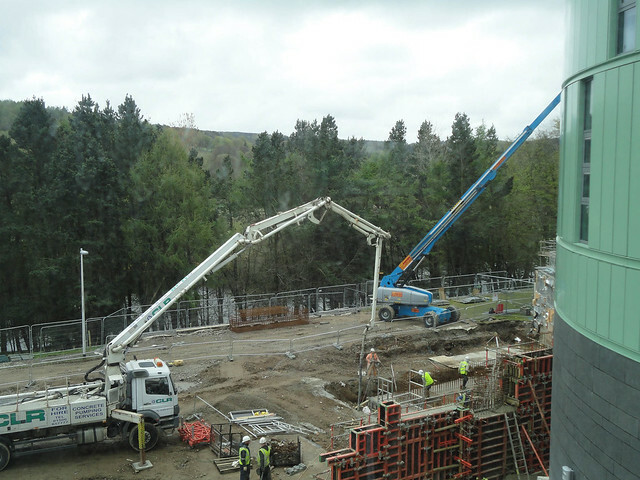 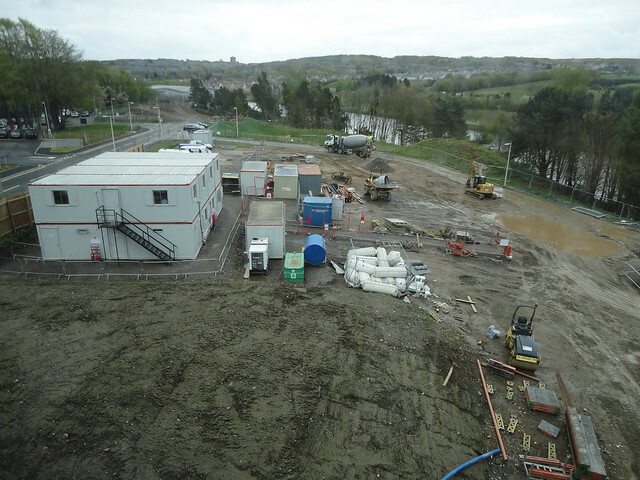 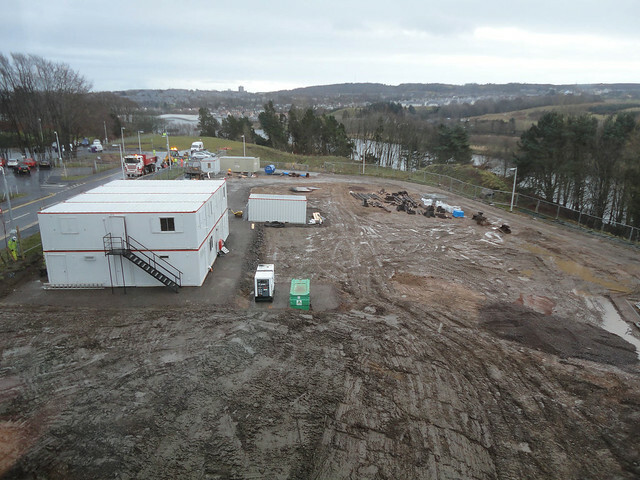 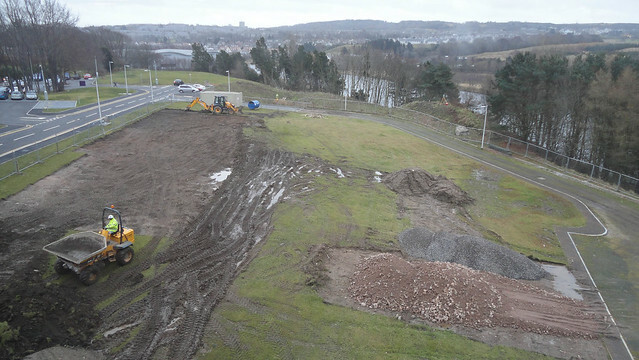 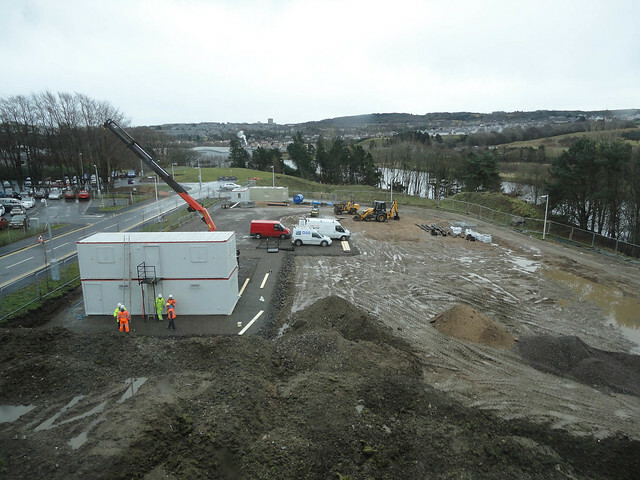 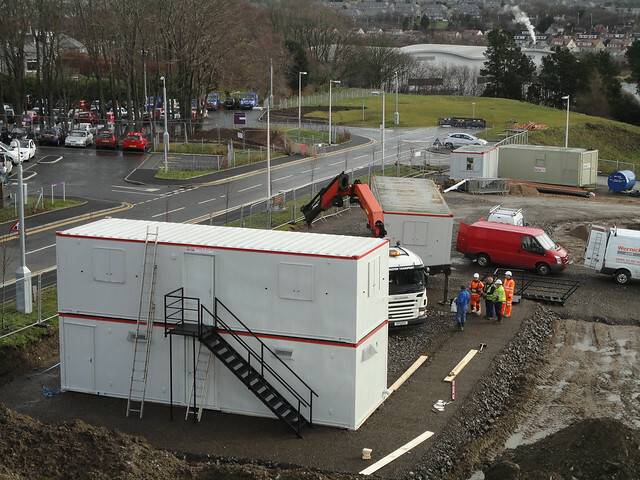 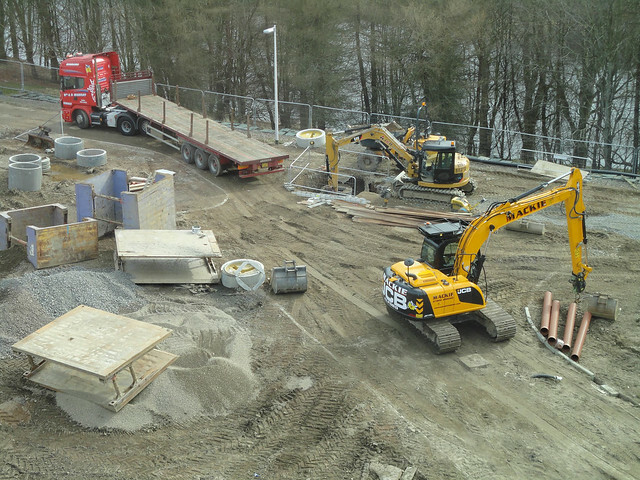 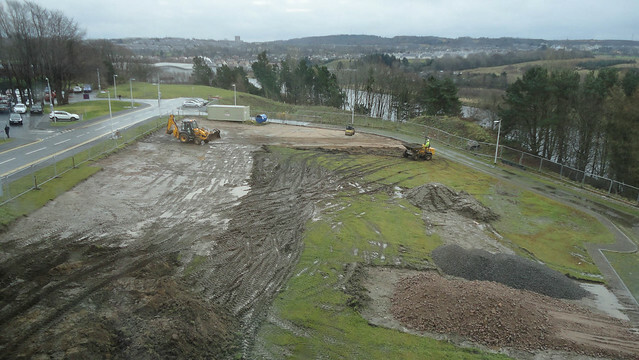 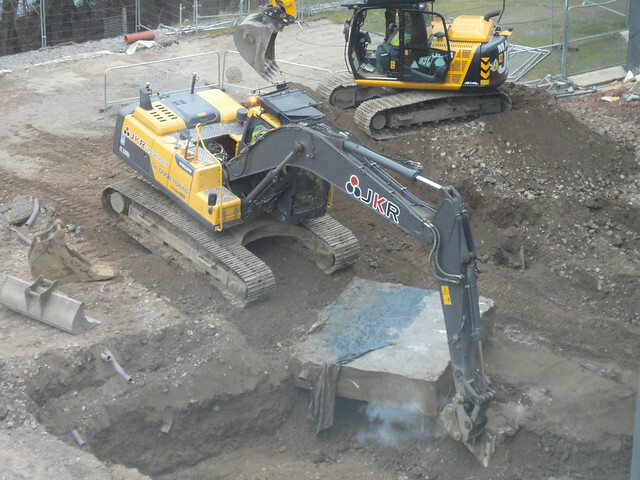 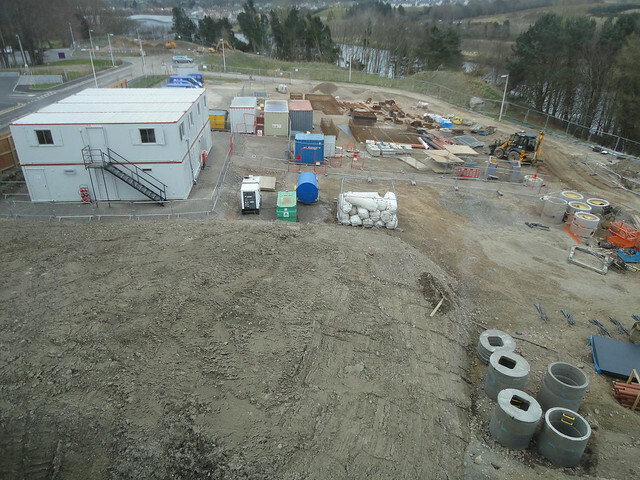 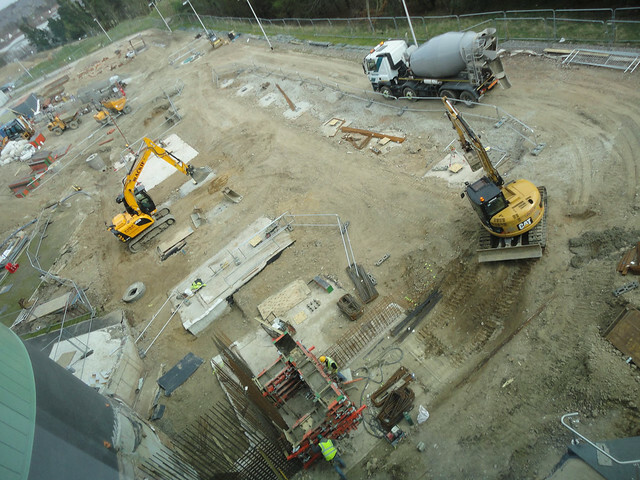 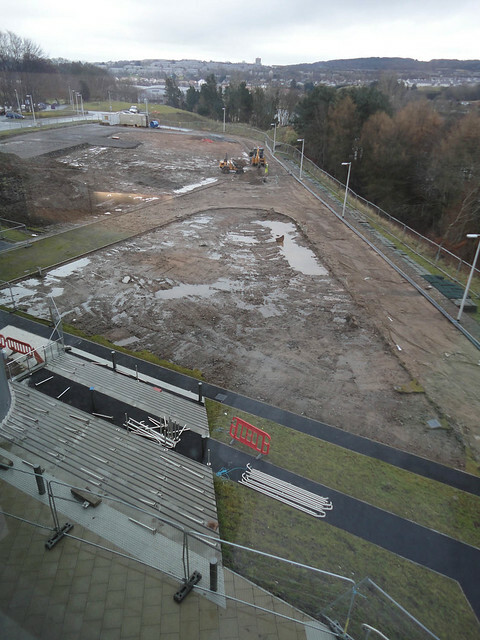 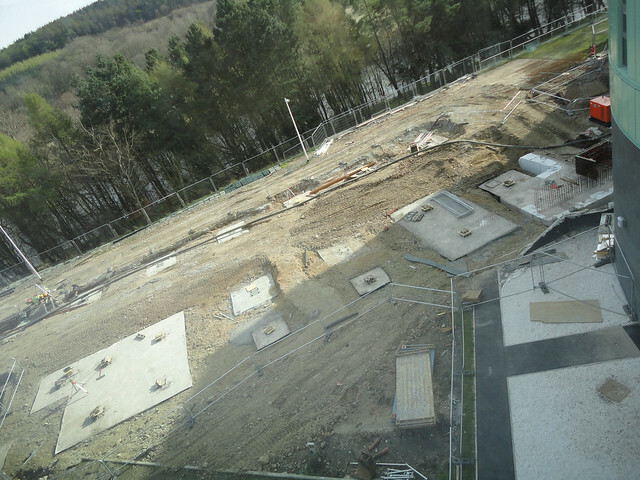 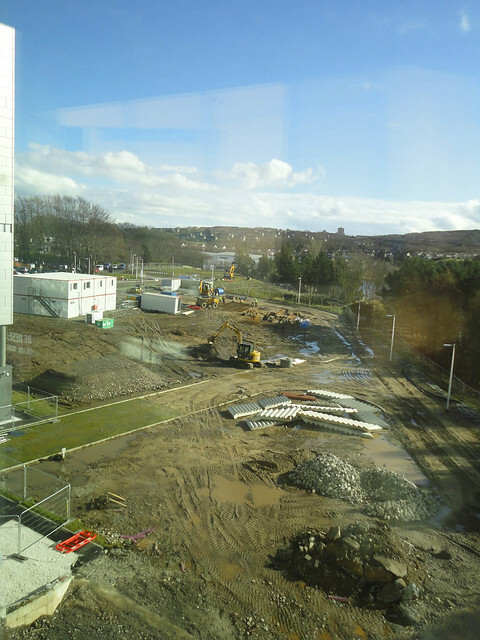 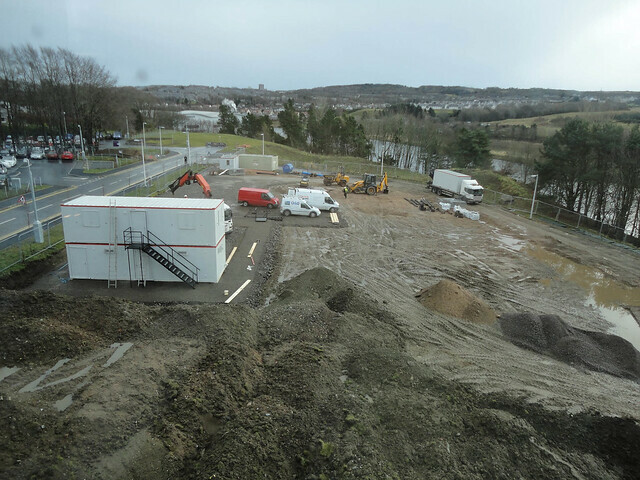 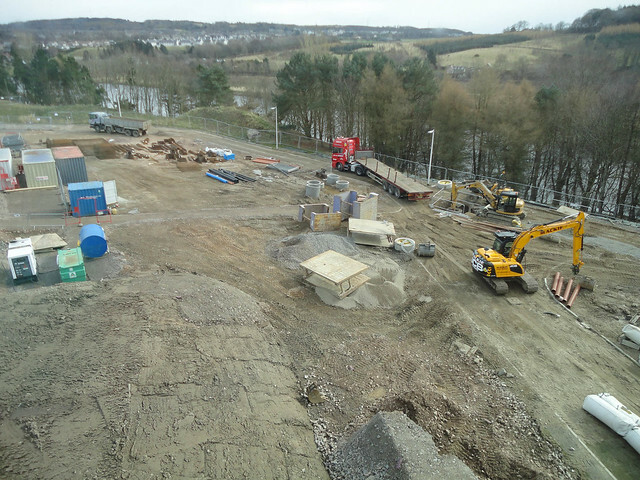 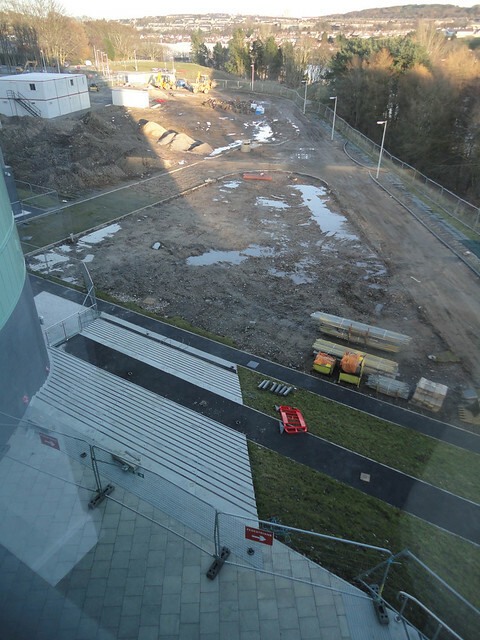 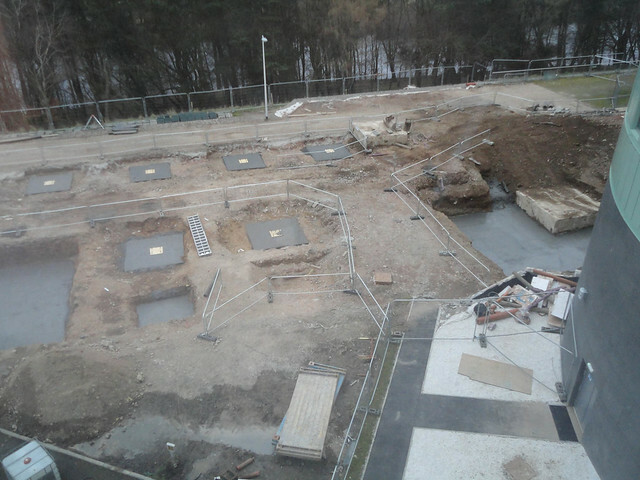 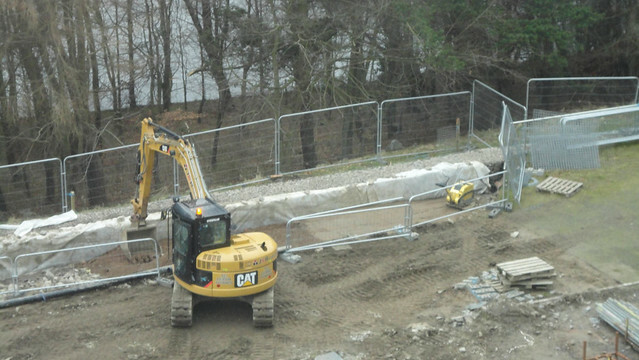 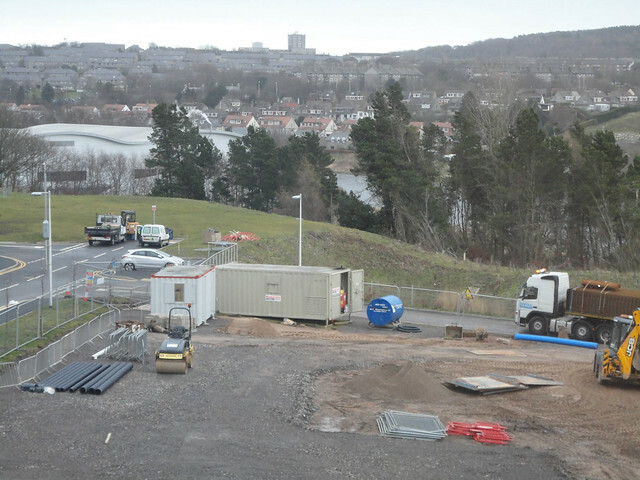 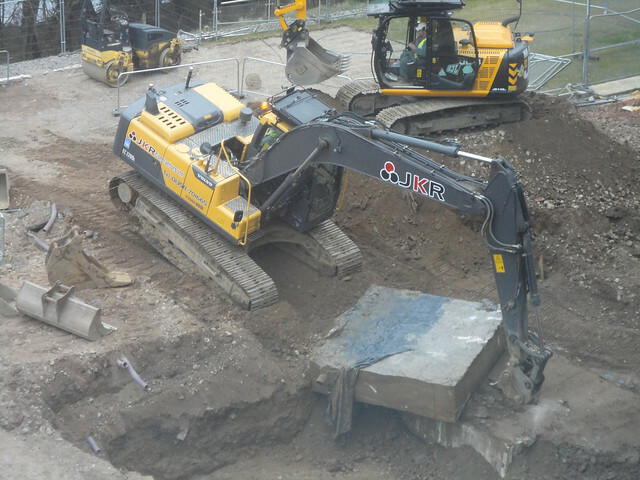 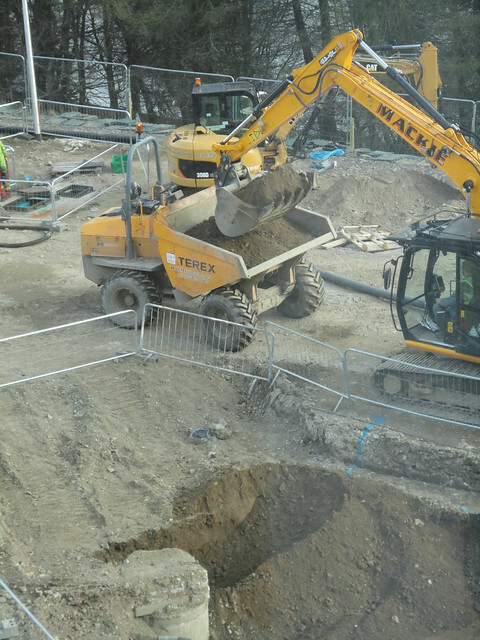 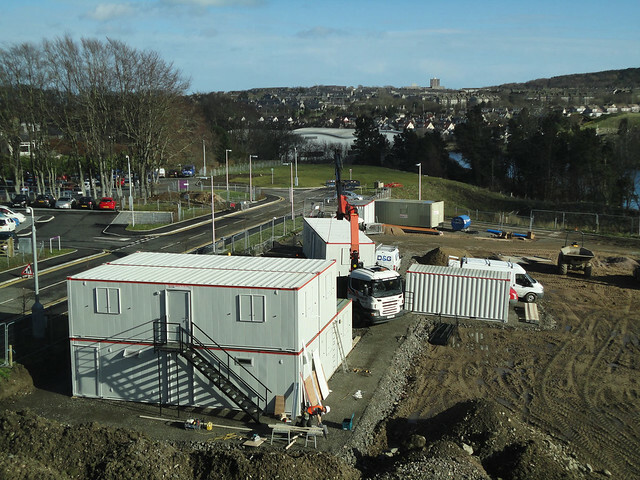 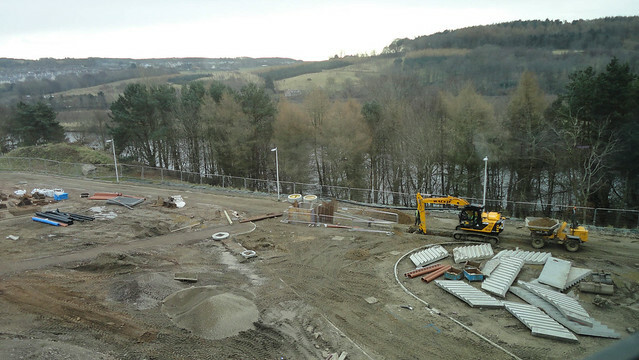 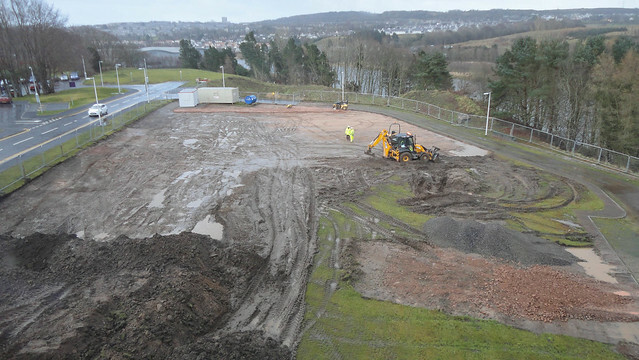 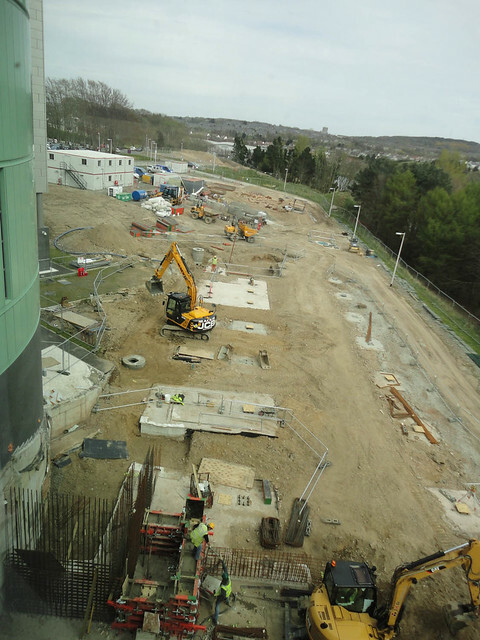 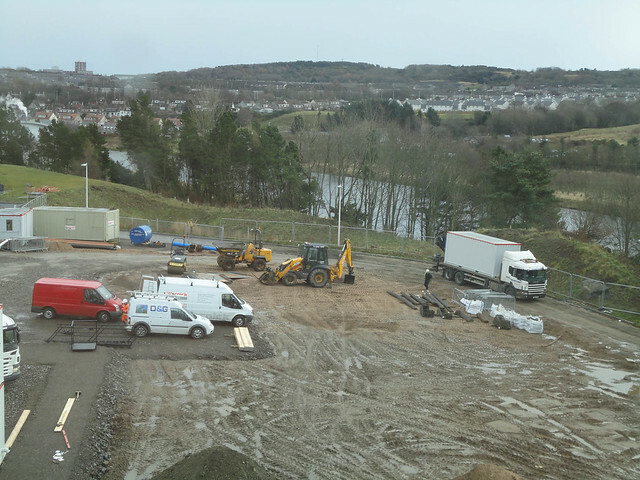 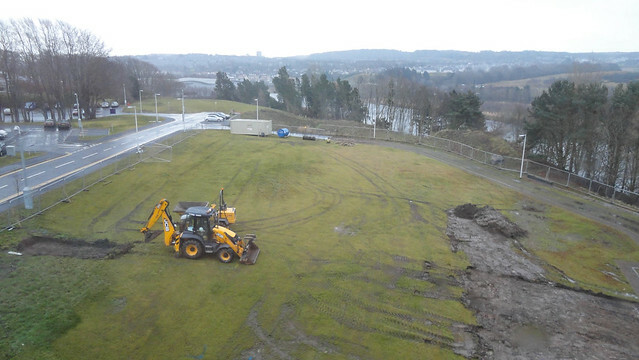 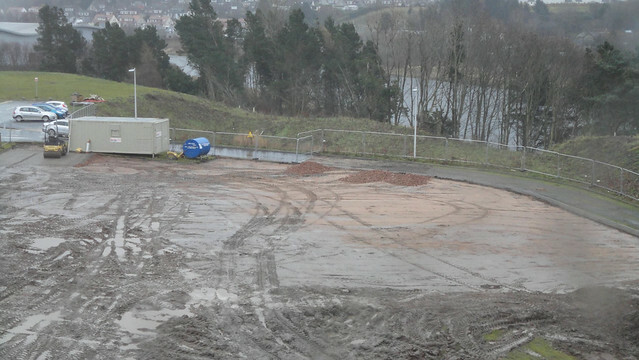 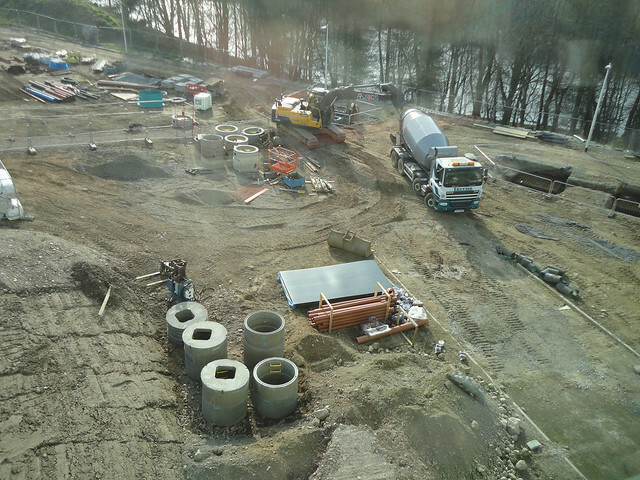 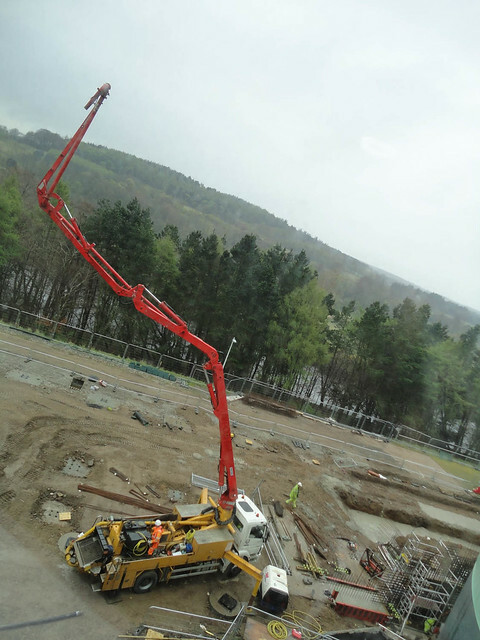 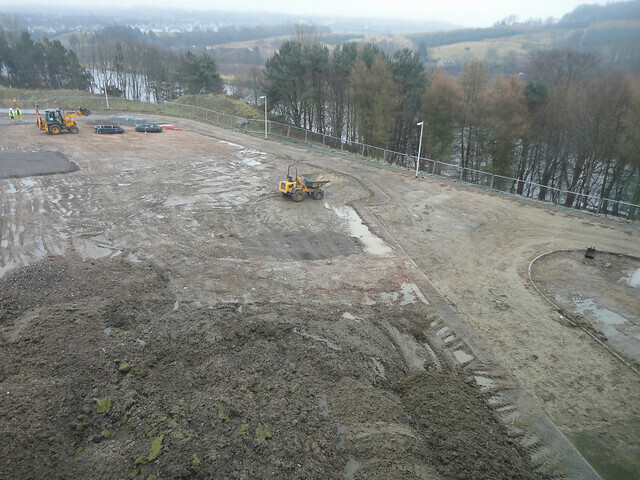 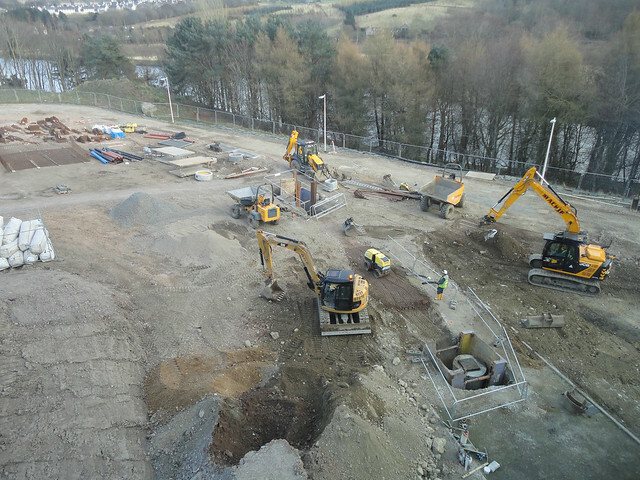 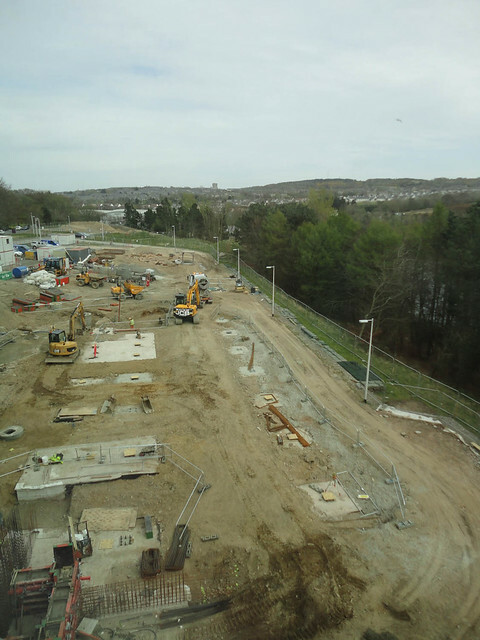 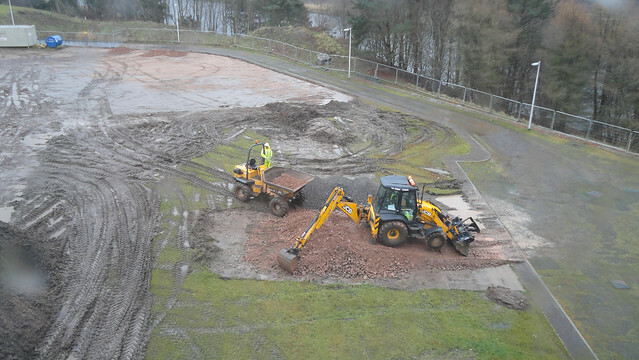 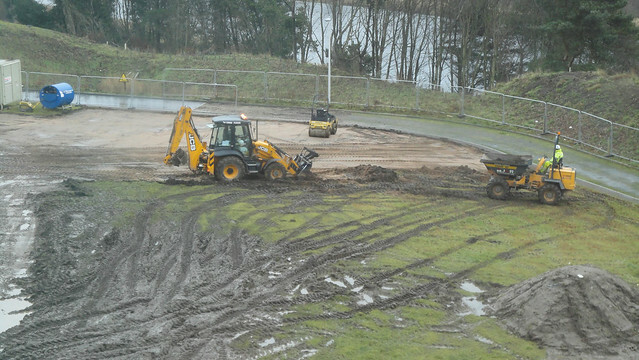 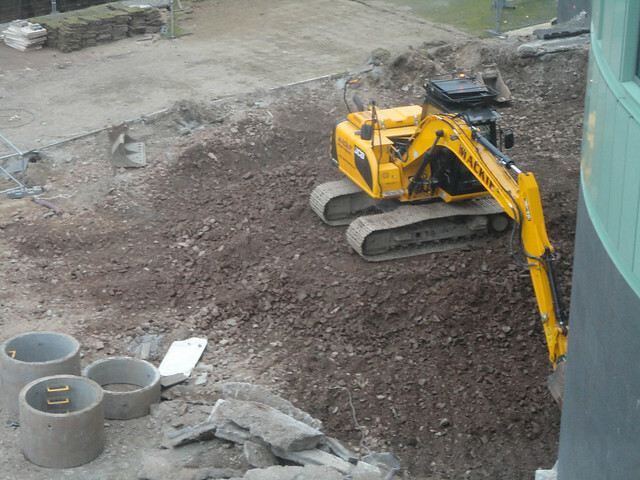 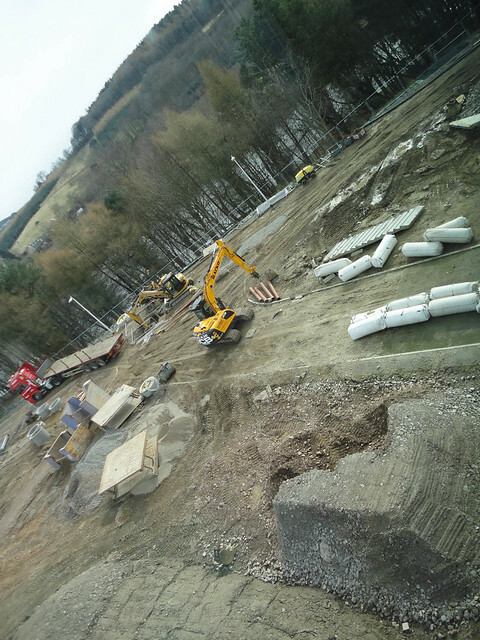 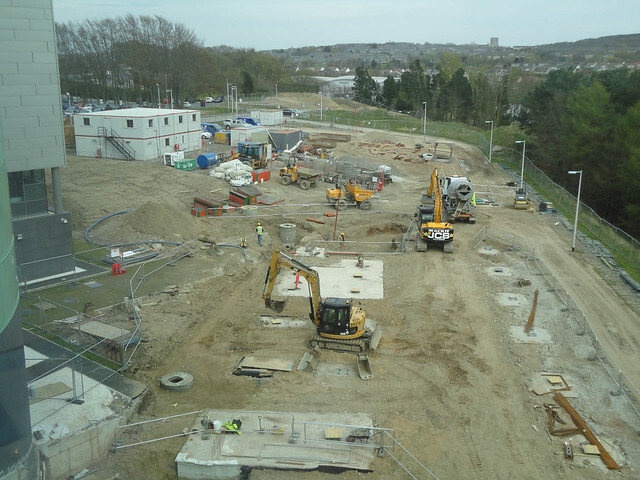 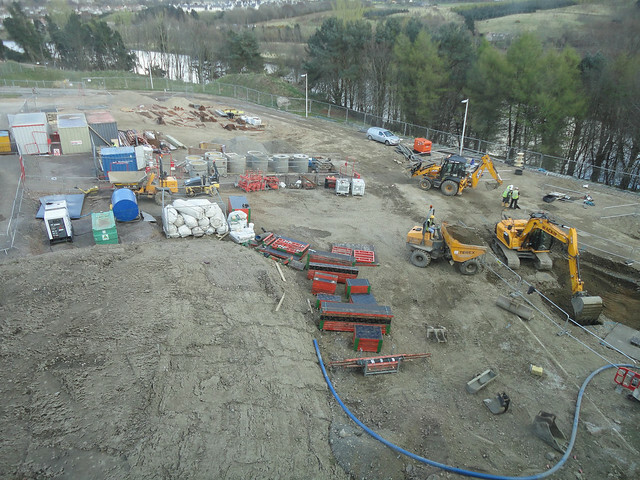 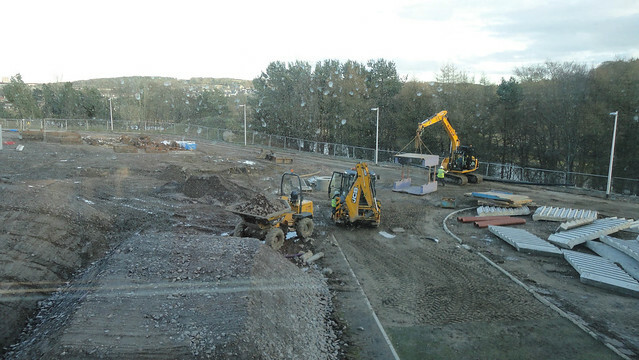 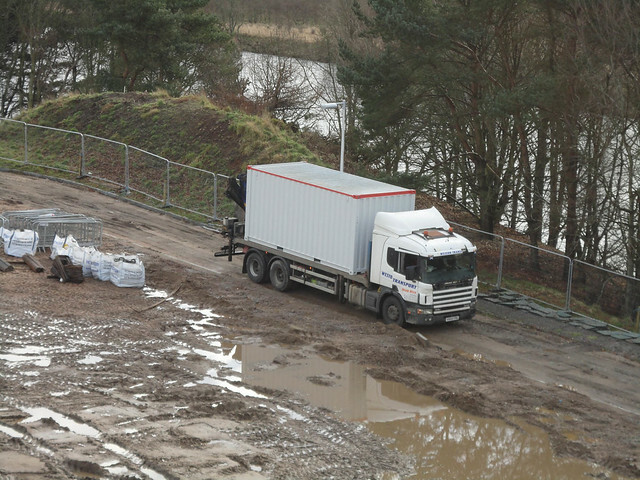 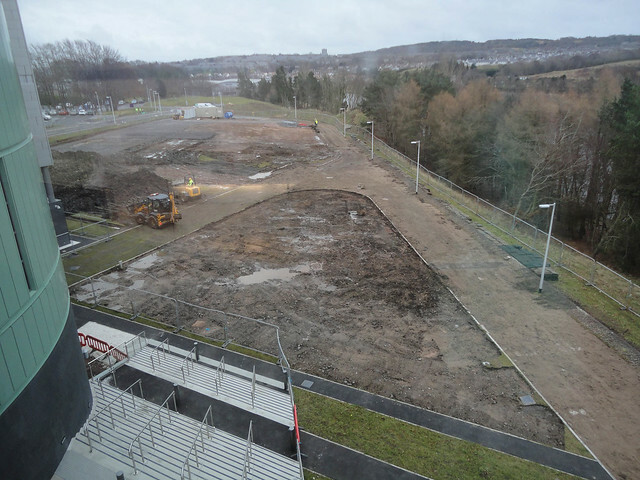 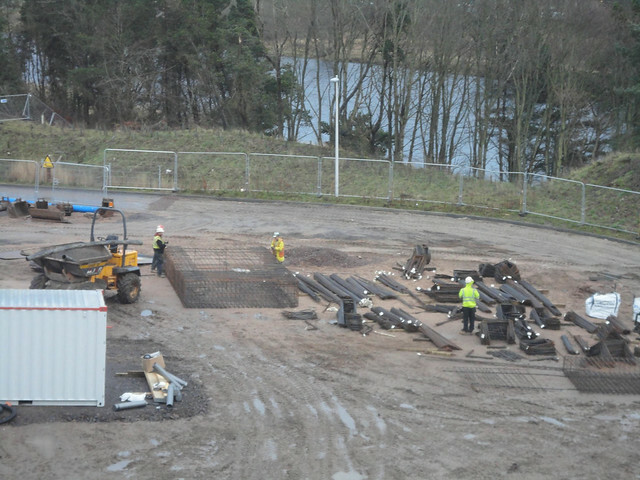 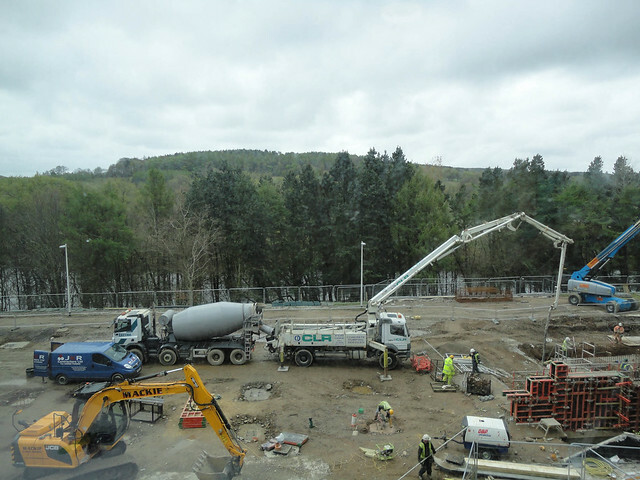 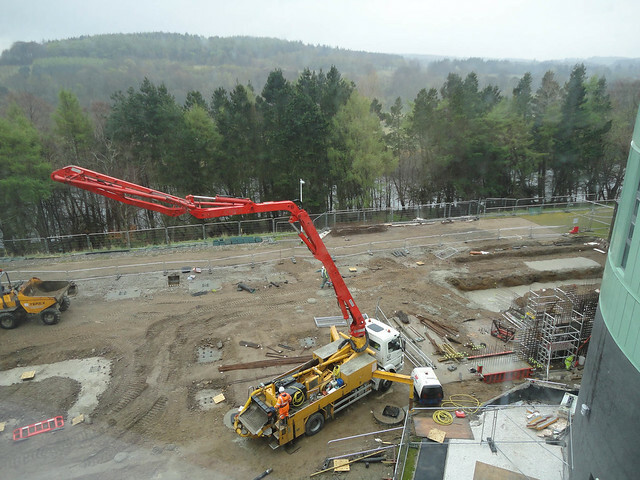 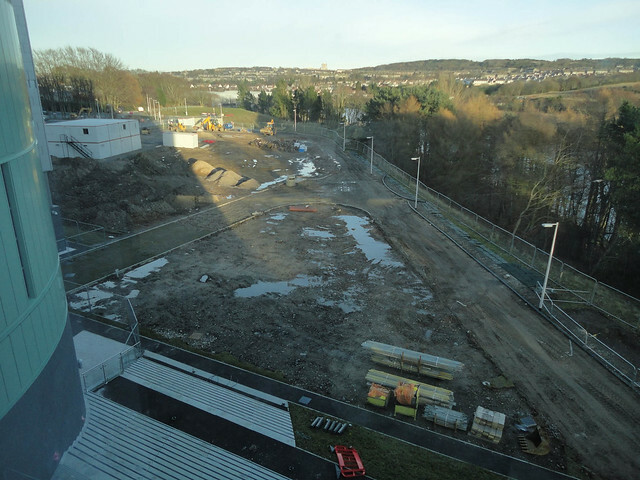 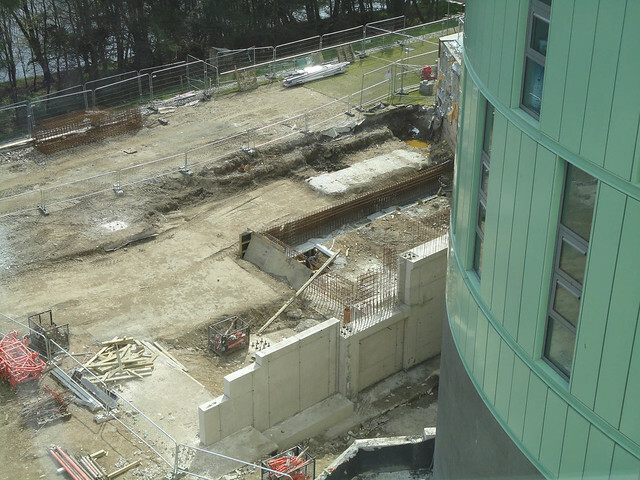 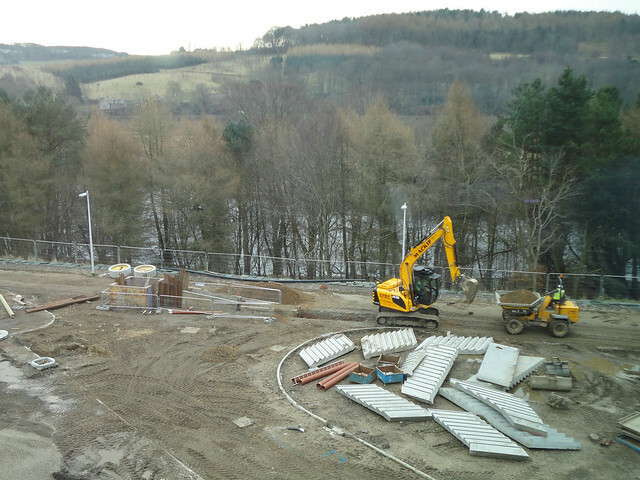 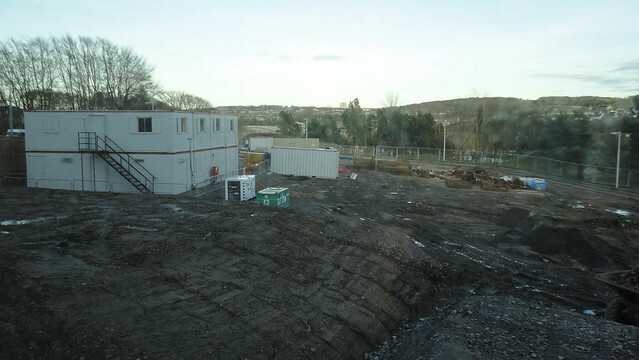 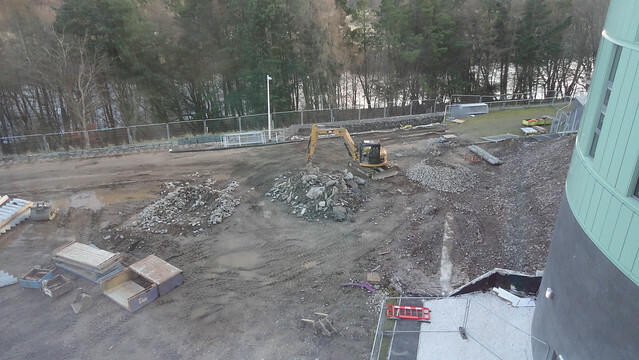 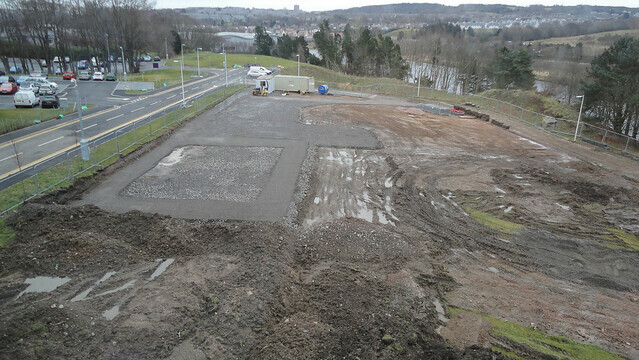 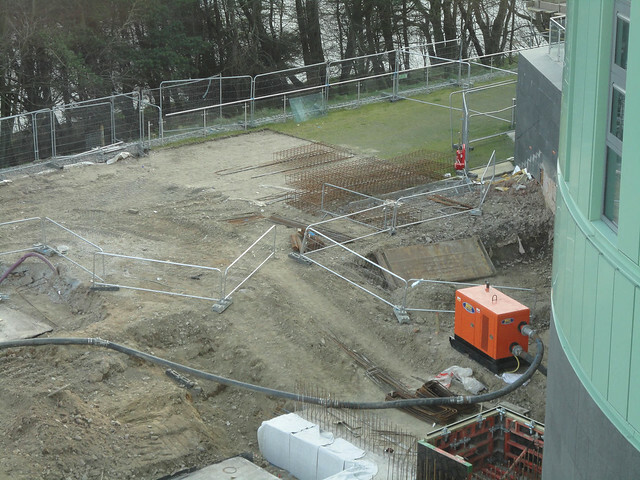 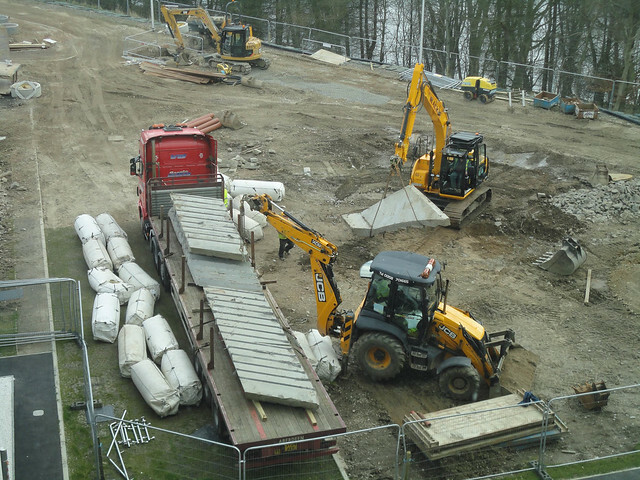 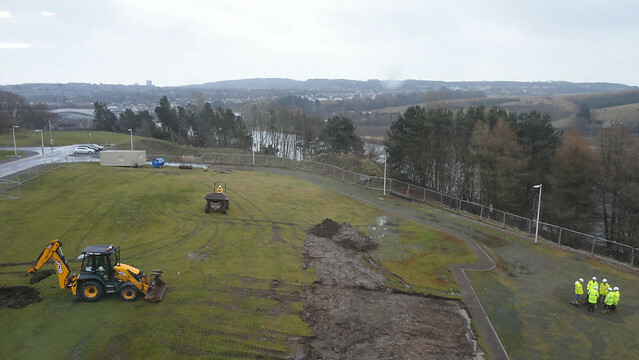 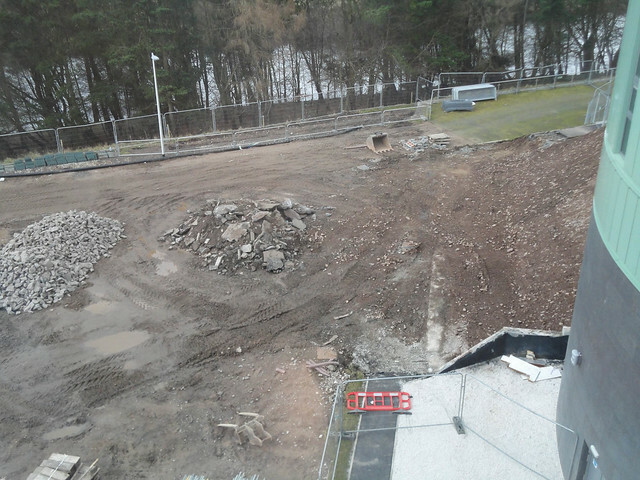 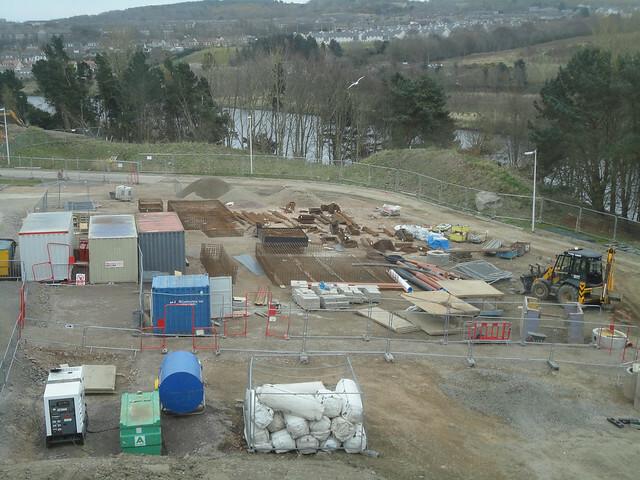 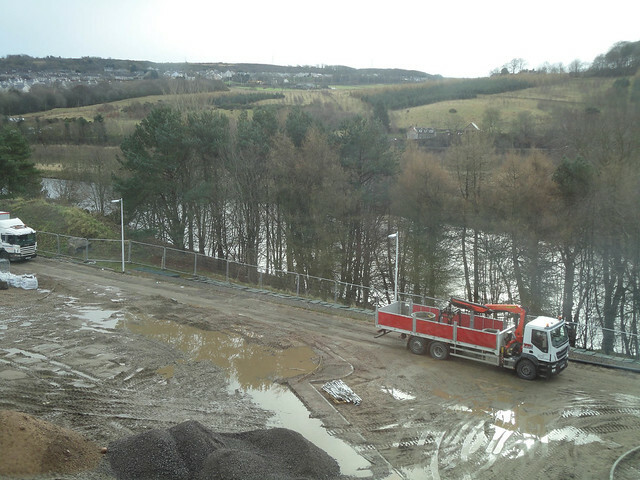 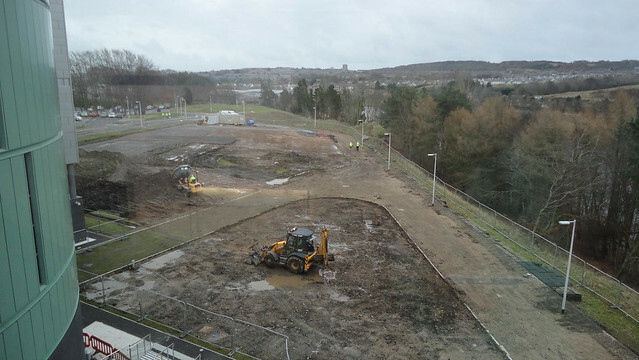 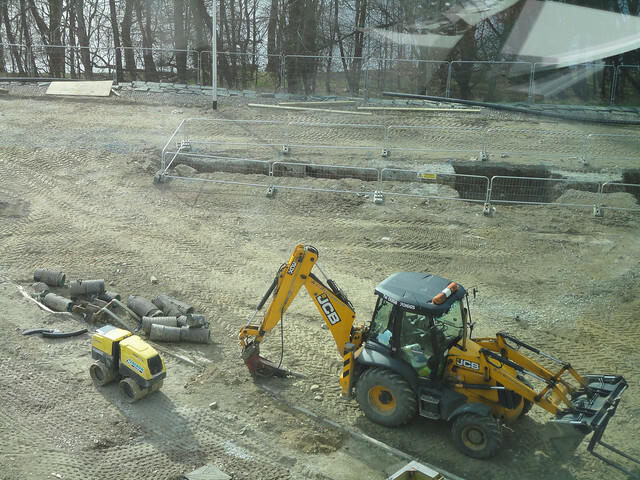 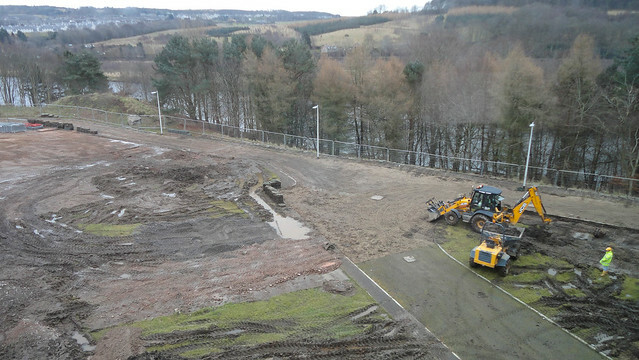 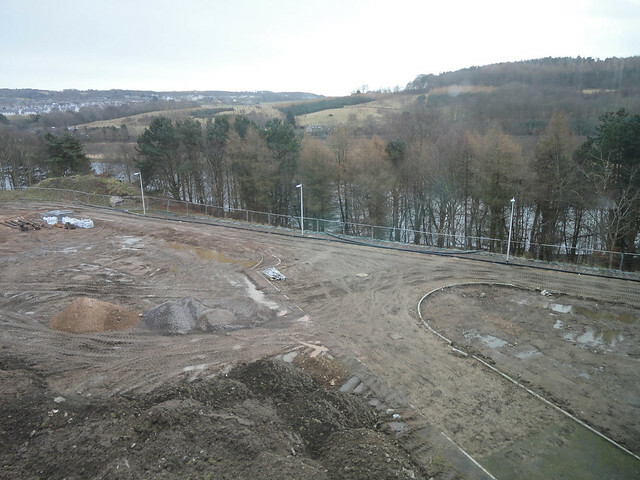 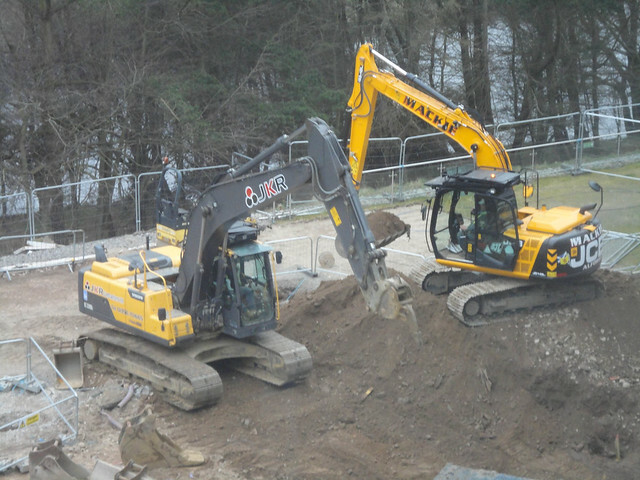 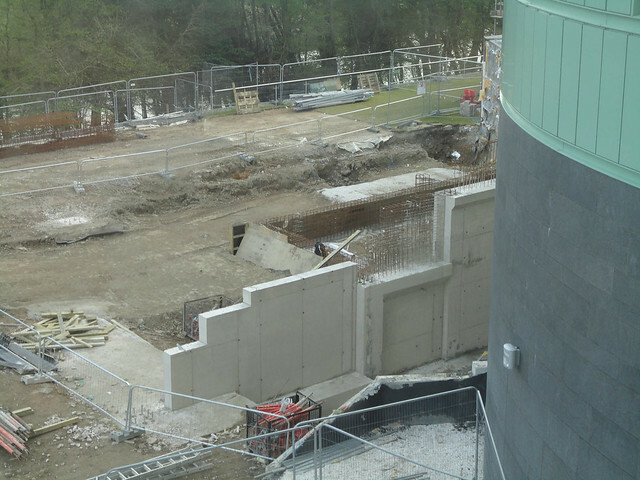 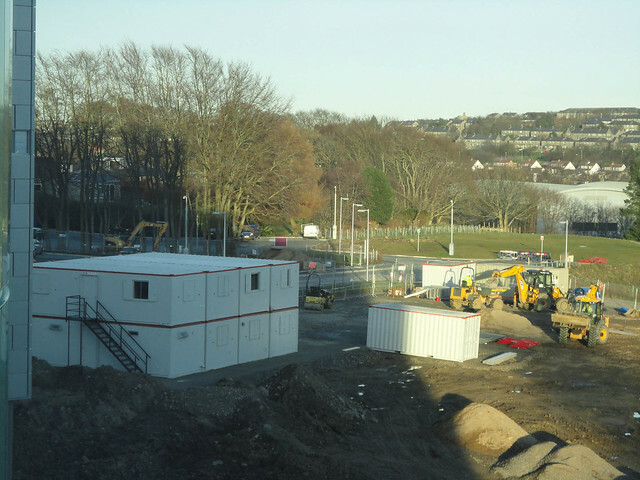 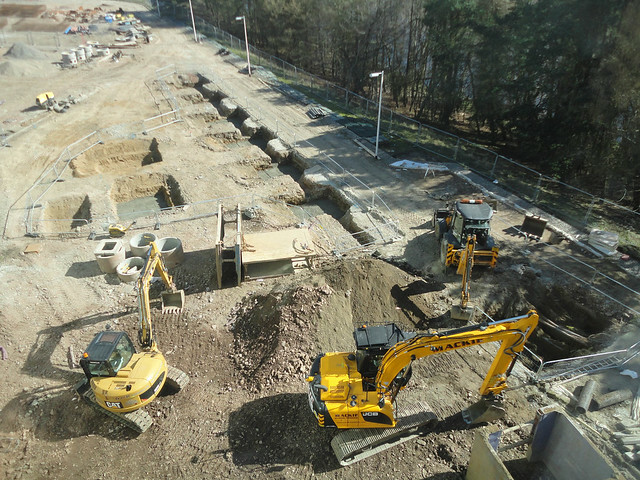 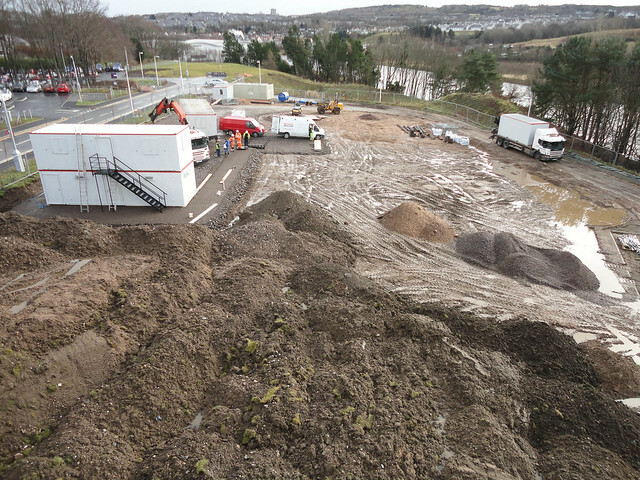 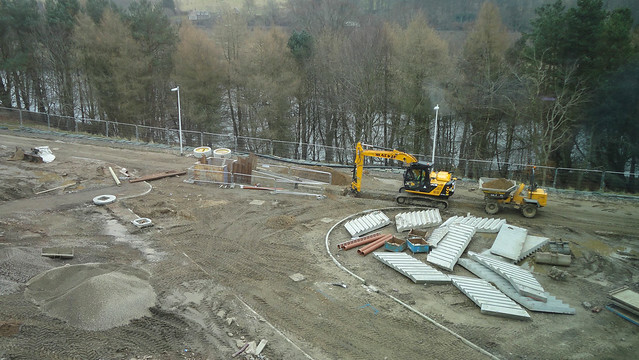 Firstly foundations have been laid for an exterior wall running the length of the site parallel to Garthdee Road. 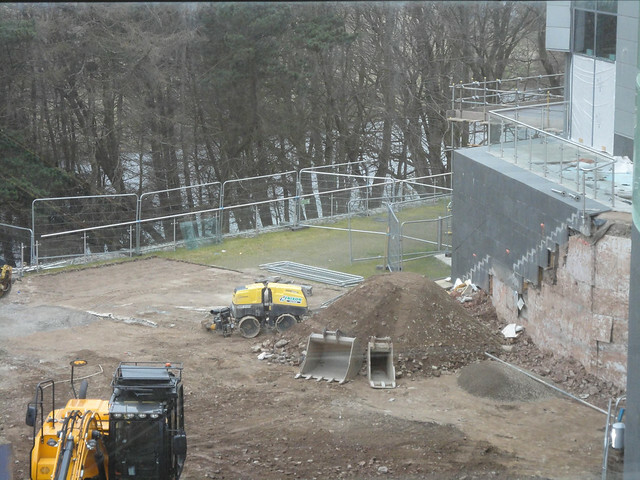 A set of what looks like chimneys has been added to the roof. 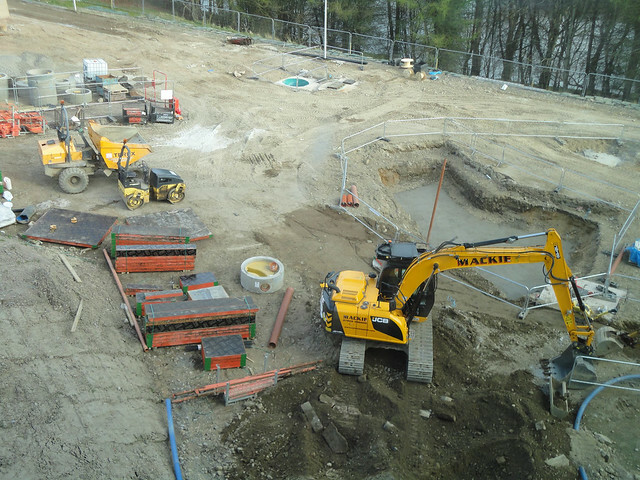 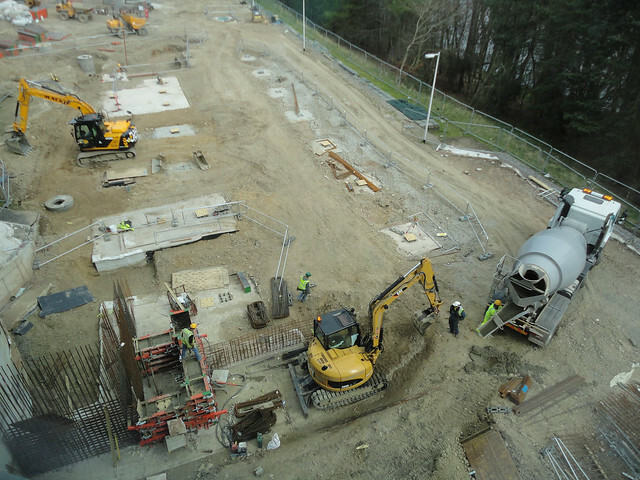 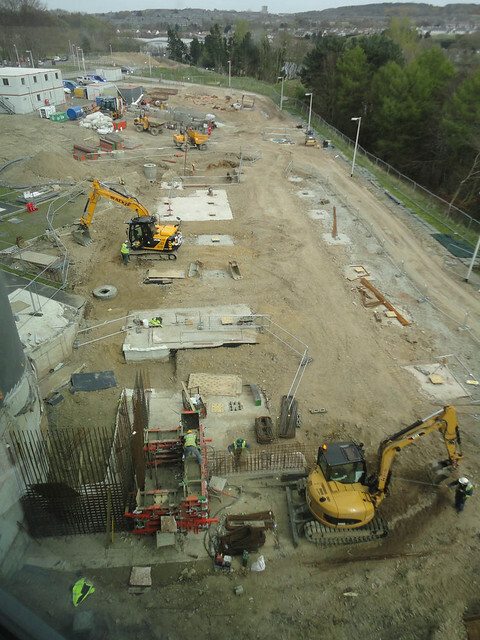 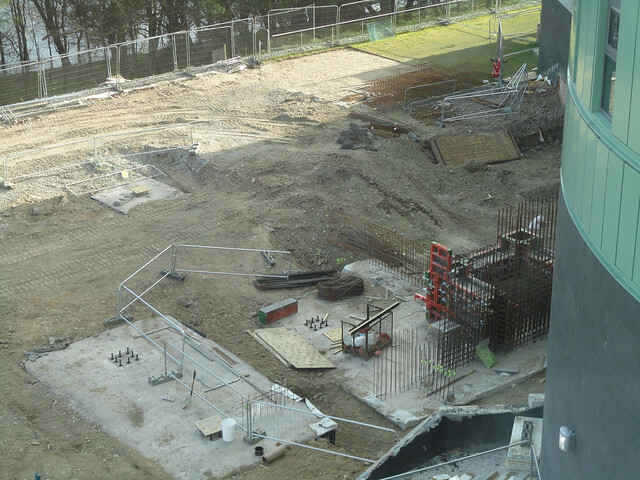 Quite a good amount of progress can be seen with regard to the plaza area directly in-front of the main entrance to the build. 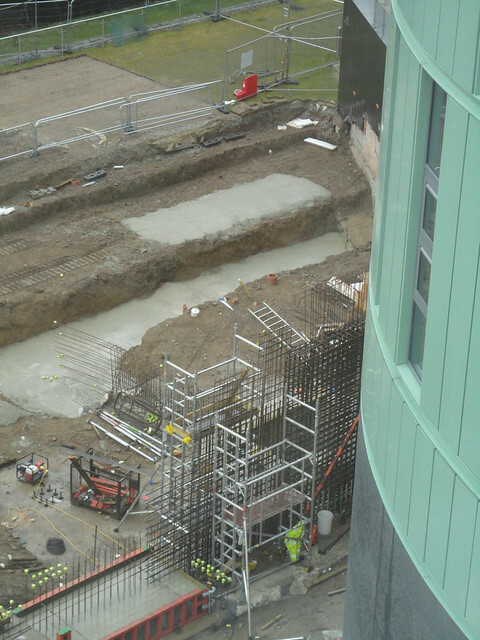 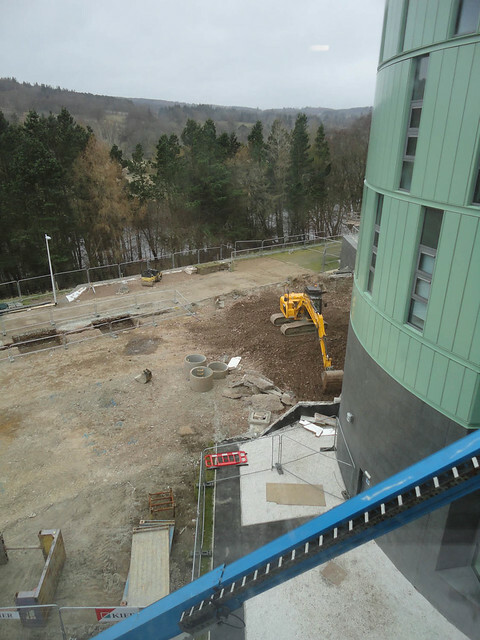 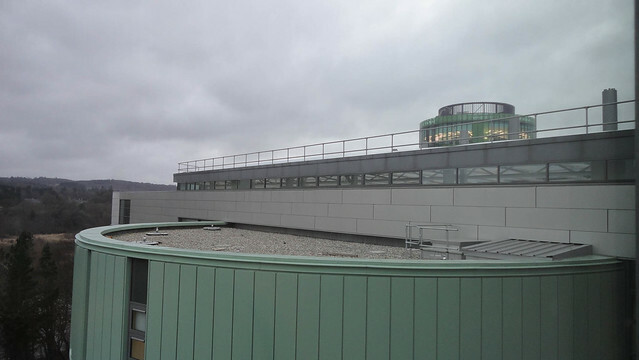 The lower sections of the library tower have now been fully clad making a huge difference to the overall appearance, very much transforming it from a building site into a building nearing completion. 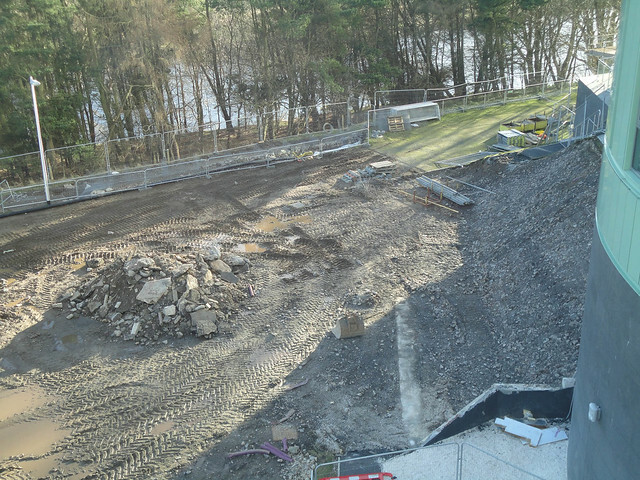 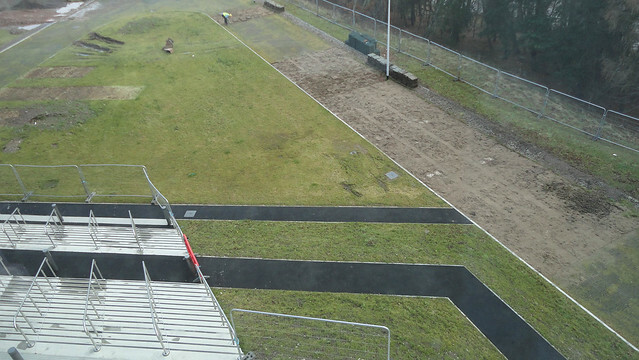 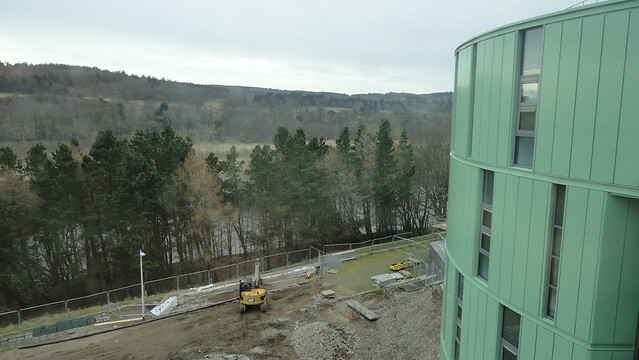 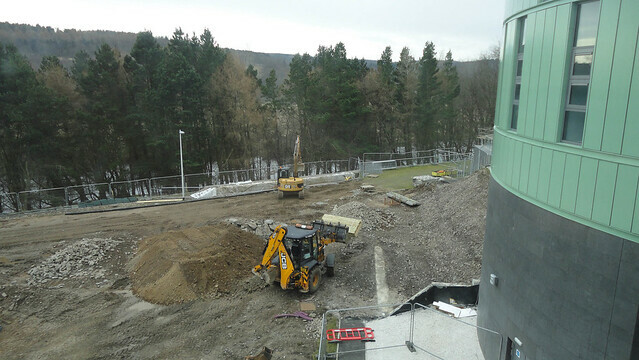 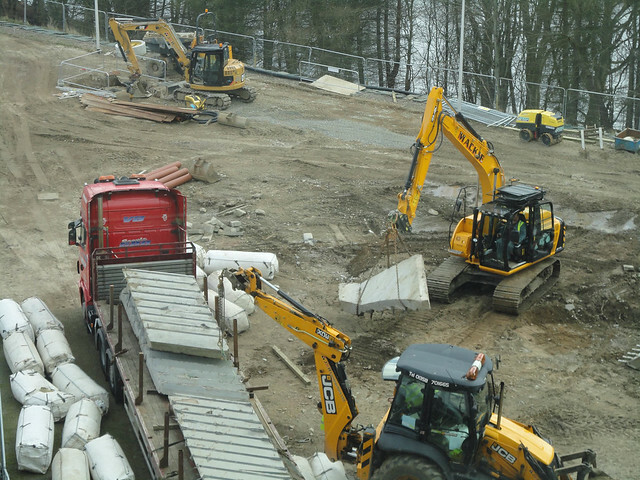 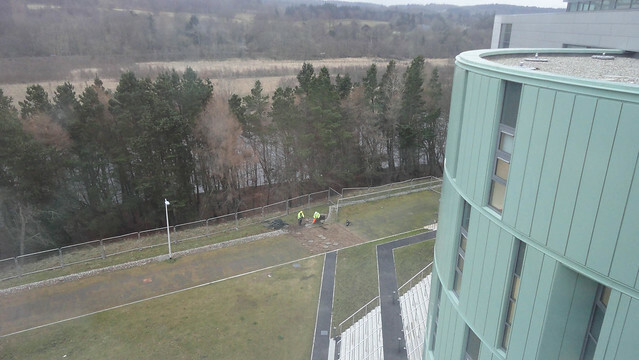 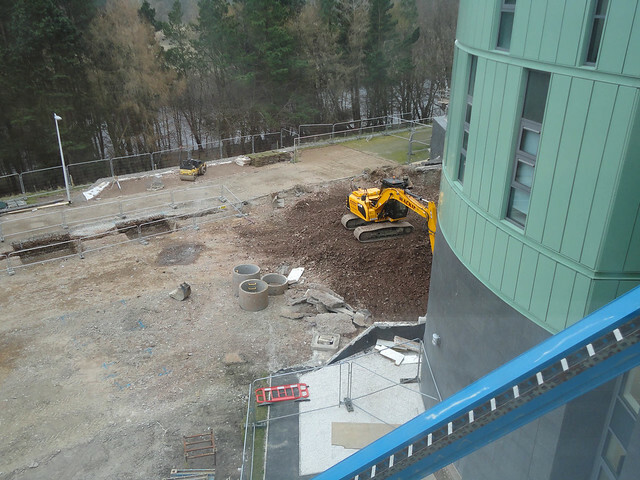 You will also notice the formation of some steps heading down to the river, allowing one to link up with the riverside walk heading east / west. 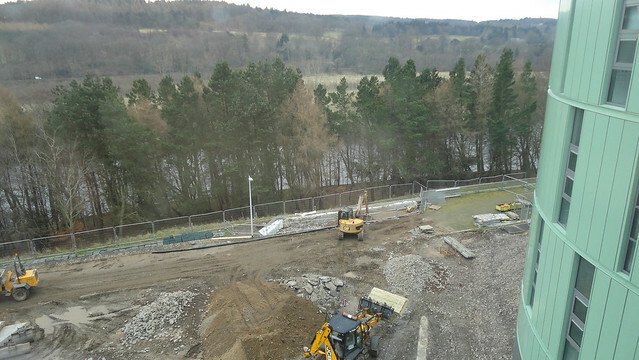 Will certainly be lovely especially when the weather is good to readily be able to get down to the rivers edge for a stroll along the bank. 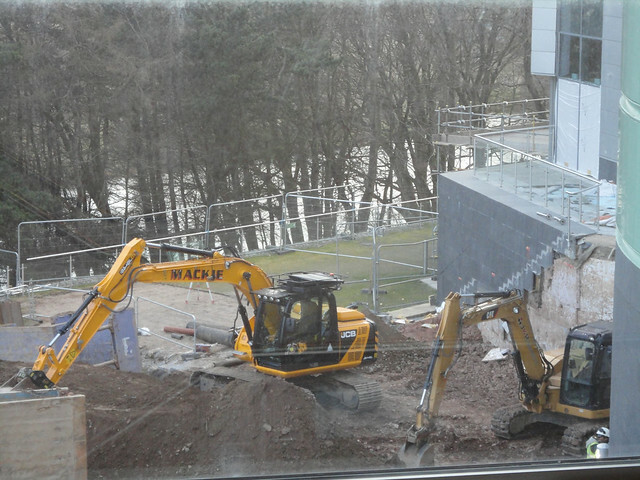 Those who enjoy photography may like the last few images at the bottom of the post playing with reflections at the main entrance to the campus. 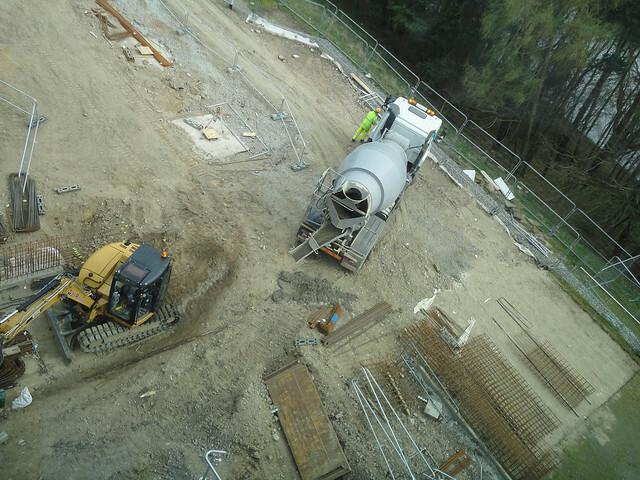 To view any of the images below at a larger size then one can directly access the Picasa Album.